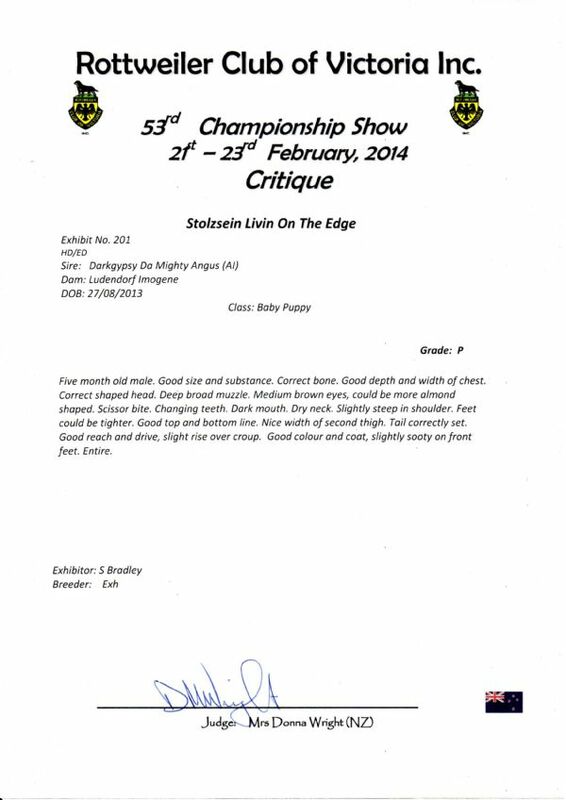 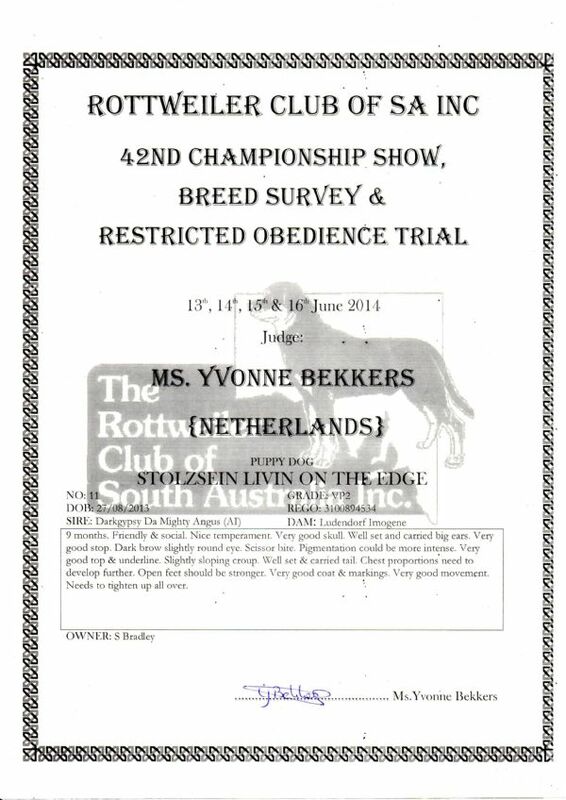 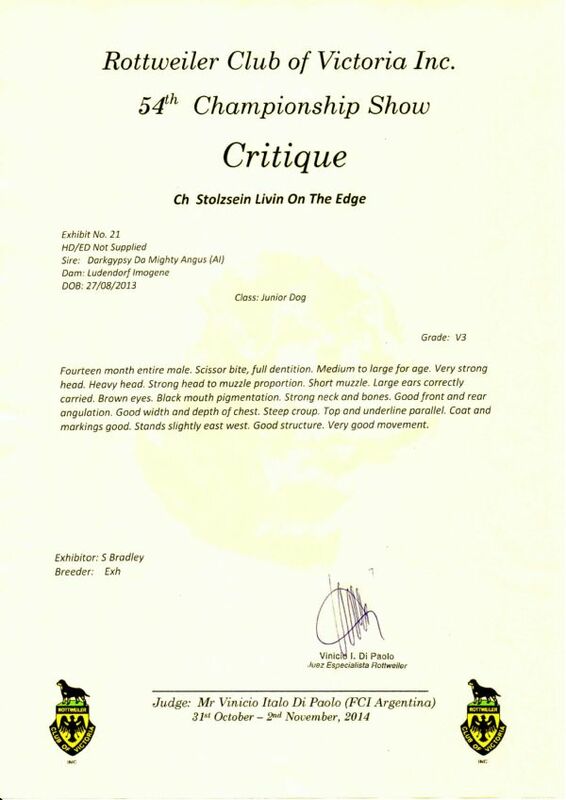 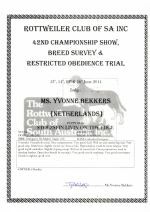 Edge has had a great start to his show career with a Baby Puppy In Group and has been an Age in Group winner in each class along way. 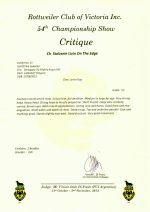 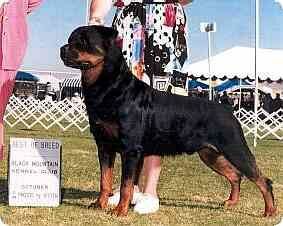 He is a Best In Group winner as well as a Multi Runner Up Best In Group winner and Multi Class In Show winner. 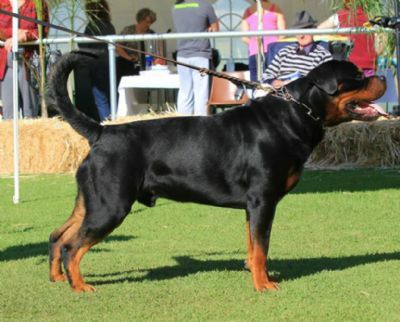 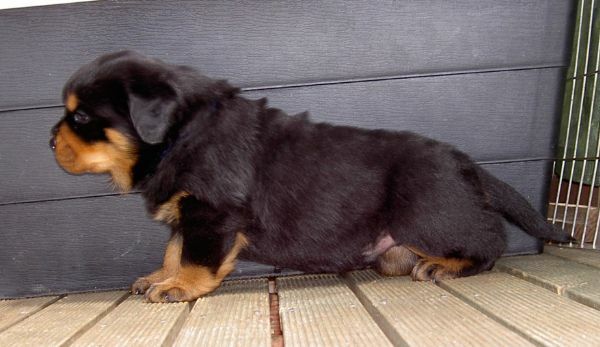 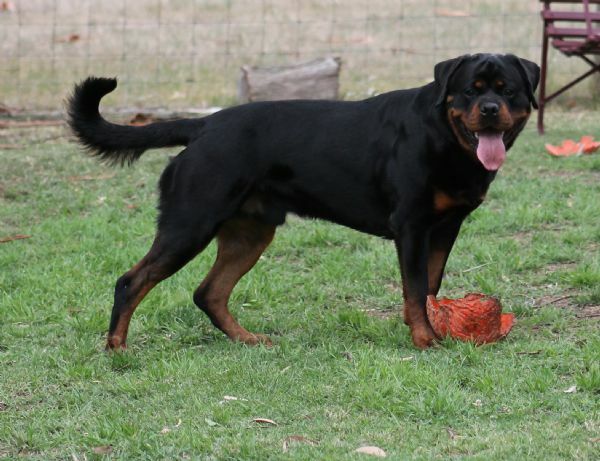 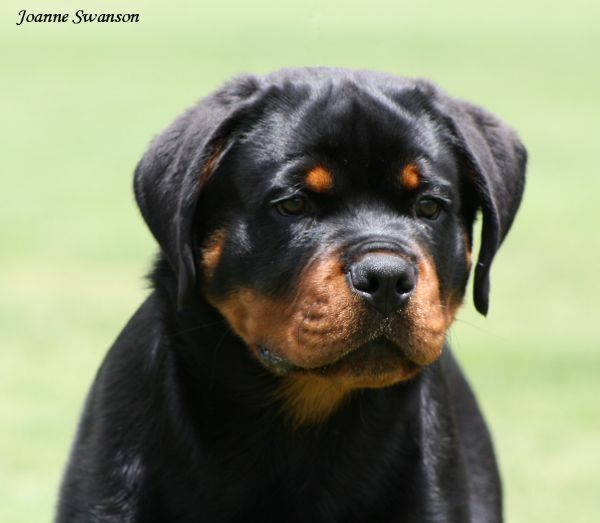 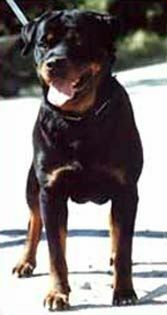 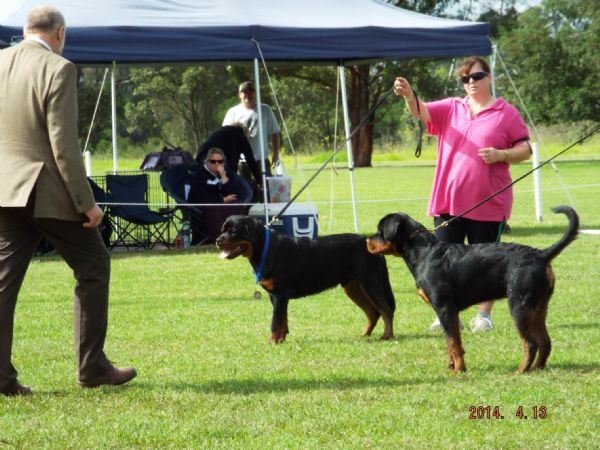 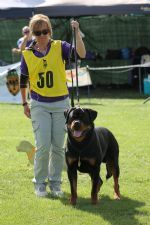 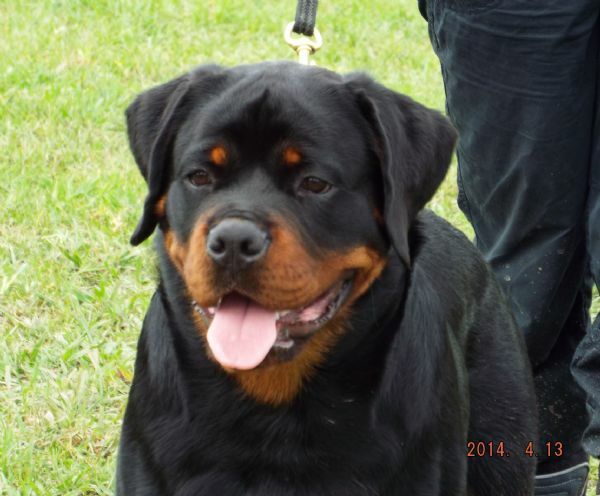 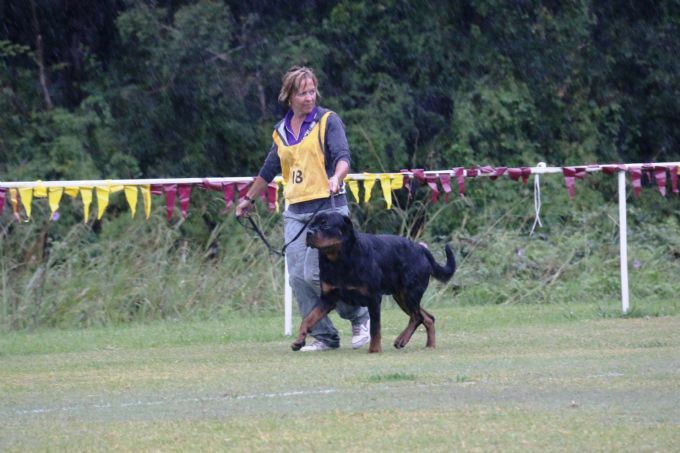 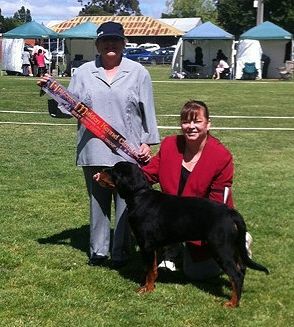 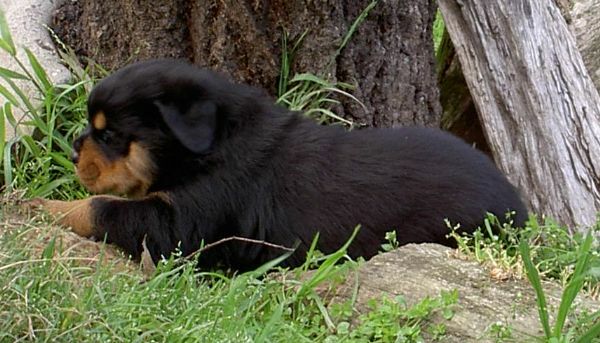 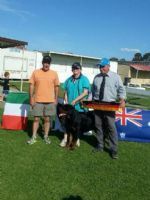 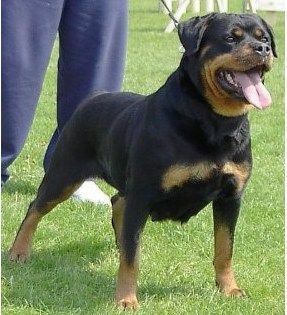 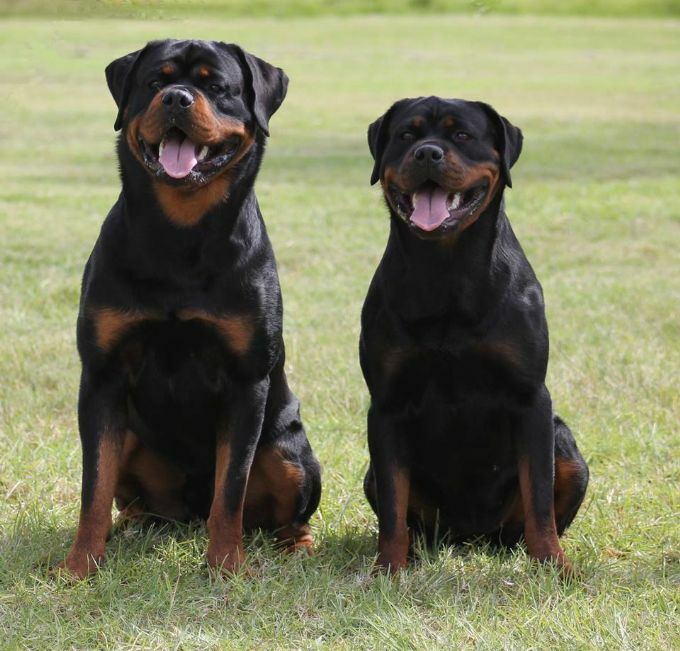 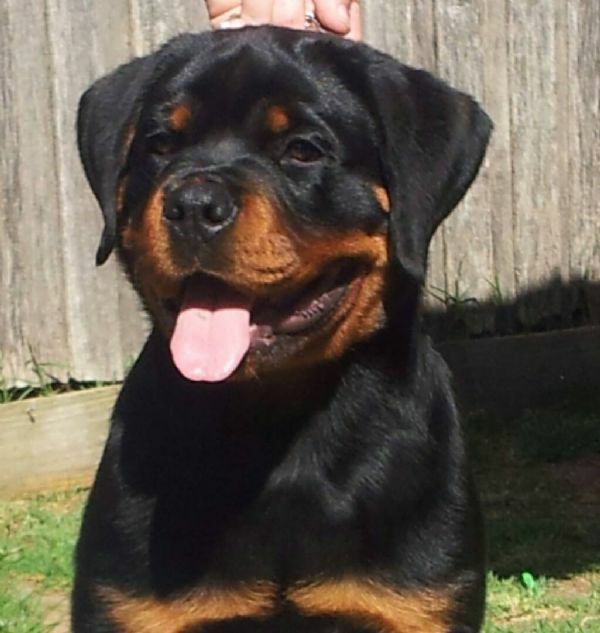 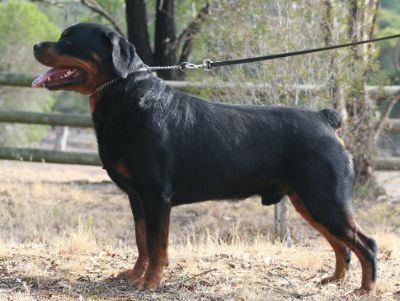 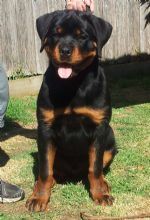 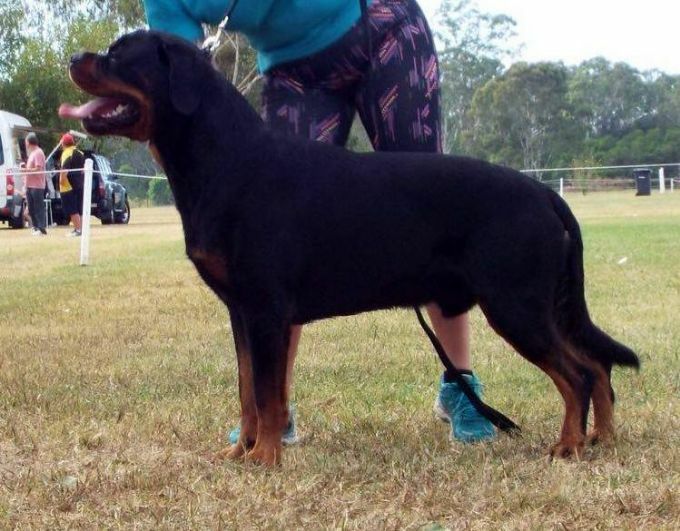 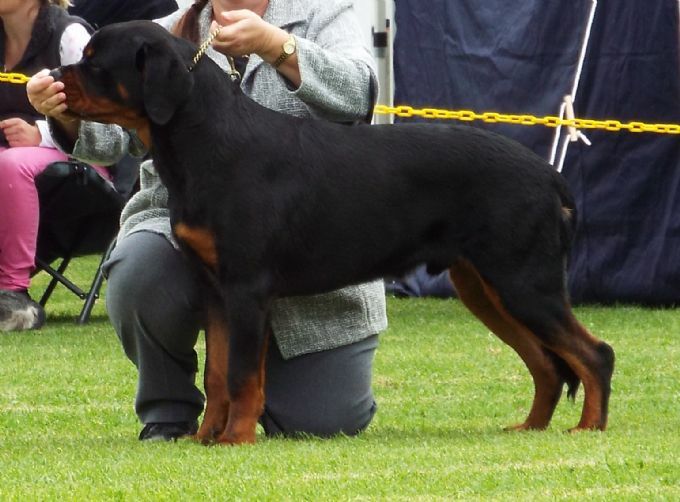 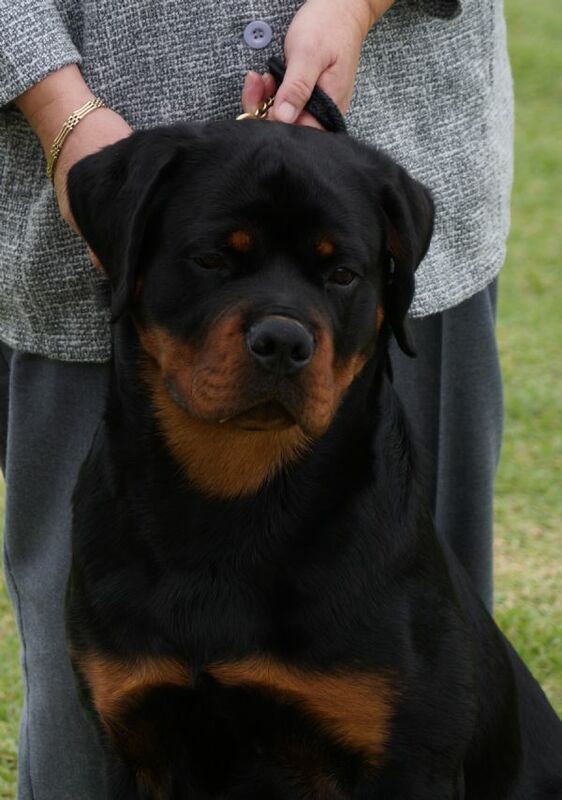 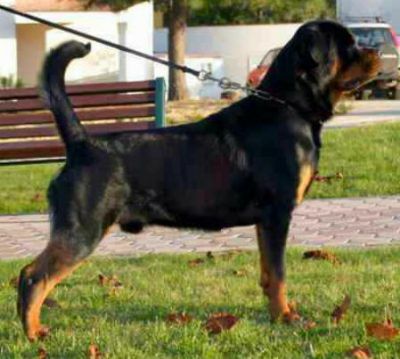 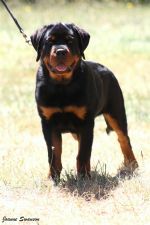 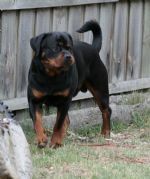 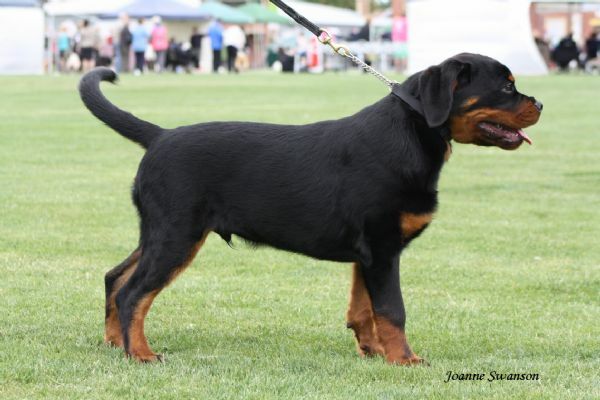 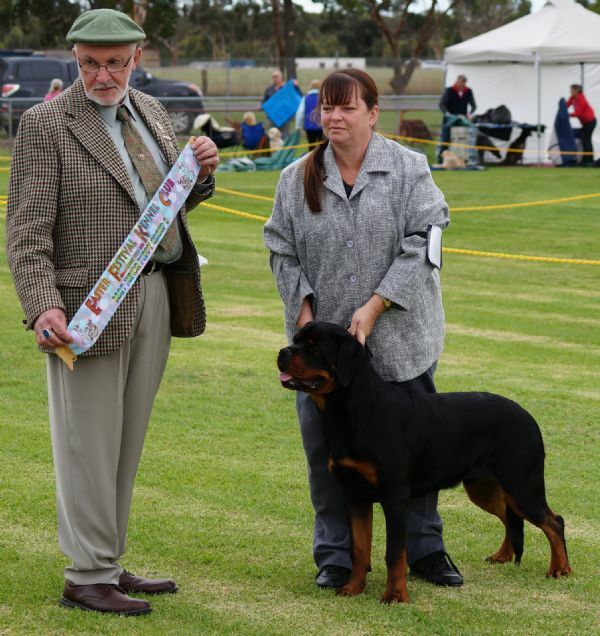 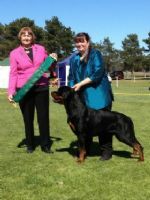 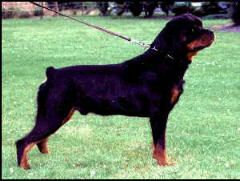 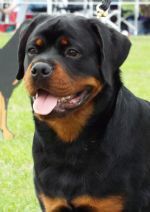 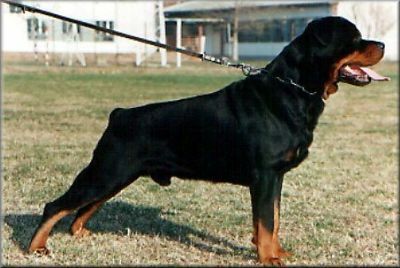 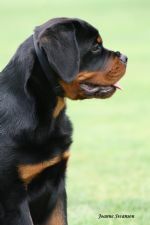 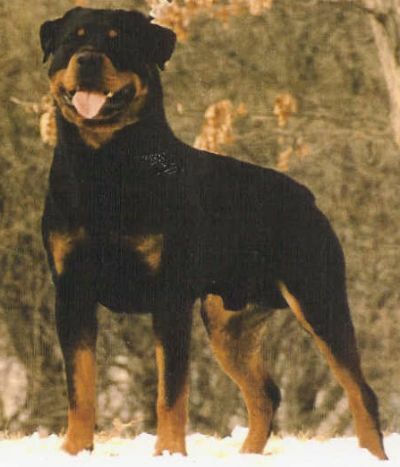 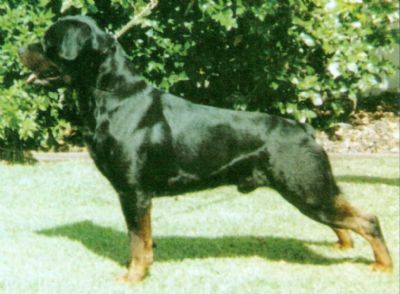 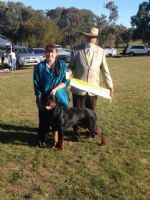 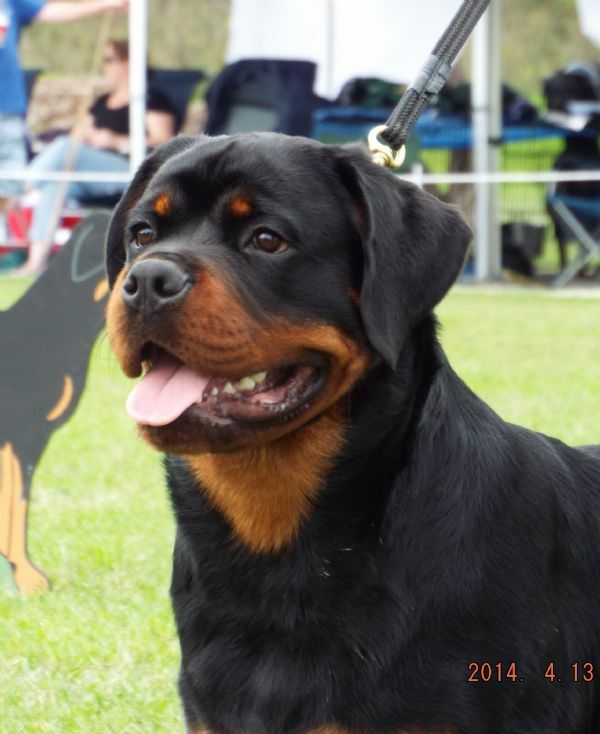 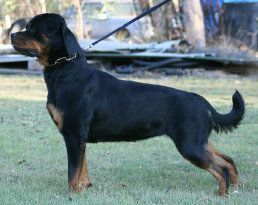 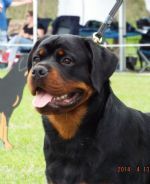 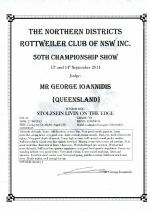 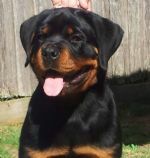 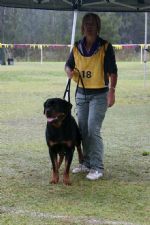 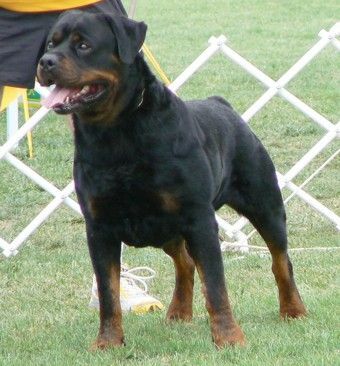 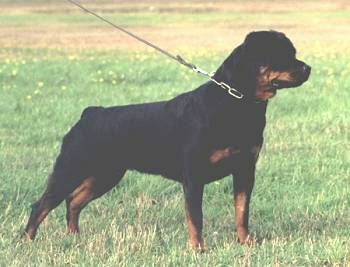 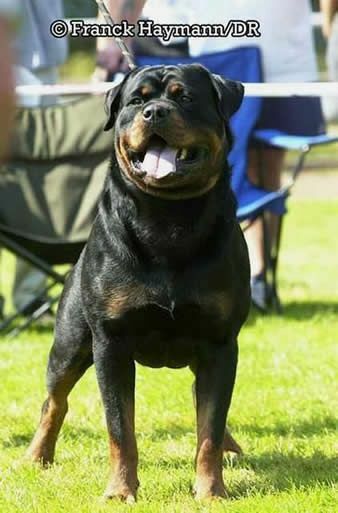 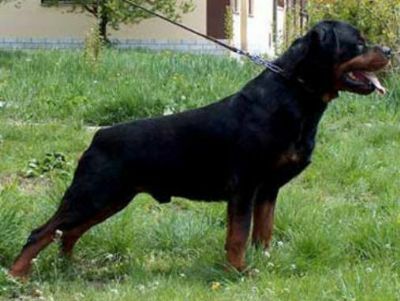 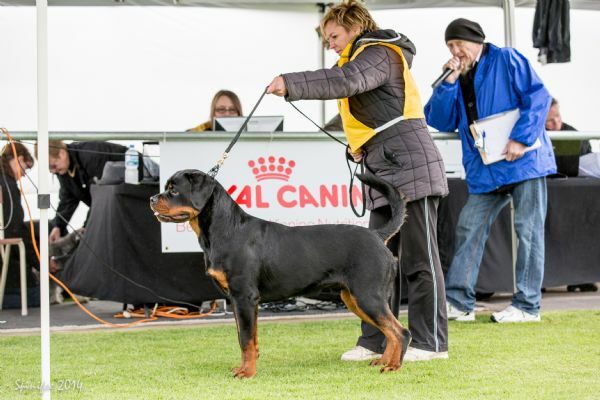 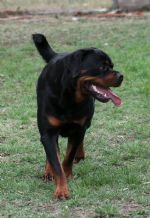 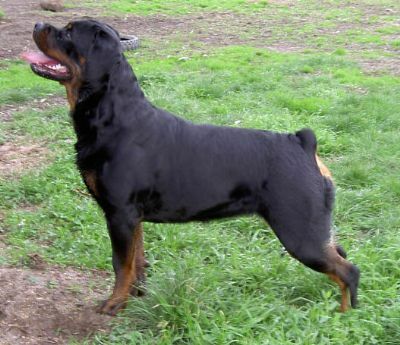 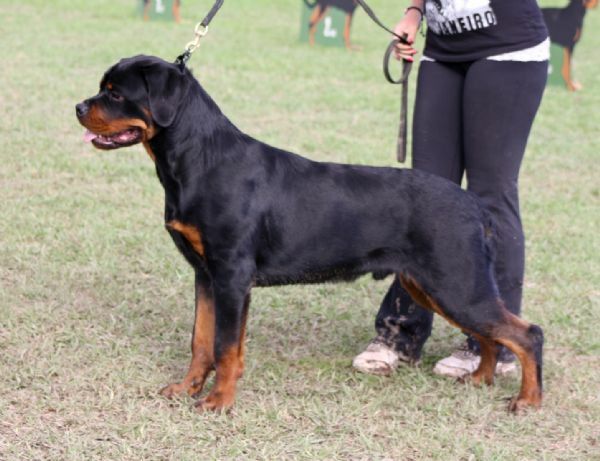 He has been awarded many Best of Breeds and Edge obtained his Australian Champion Title with very strong competition at the age of 12 months old. 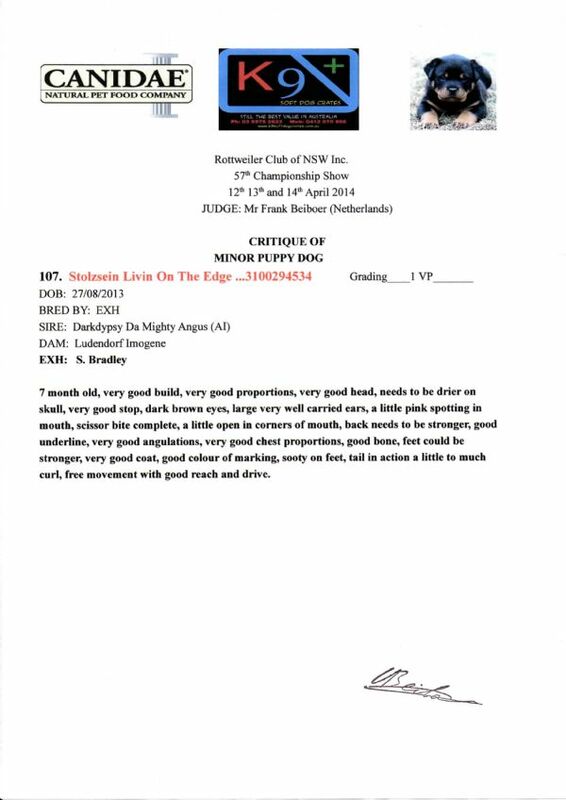 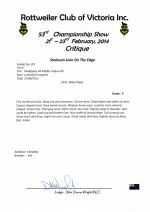 Edge finished 2014 with a bang ! 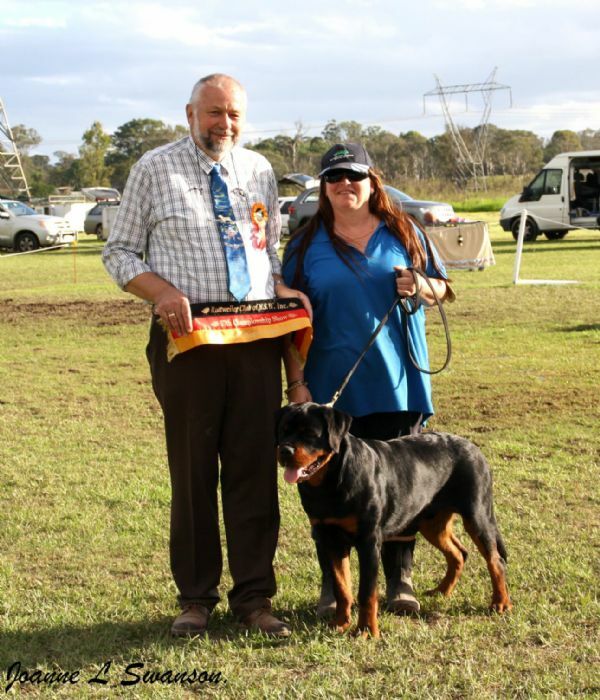 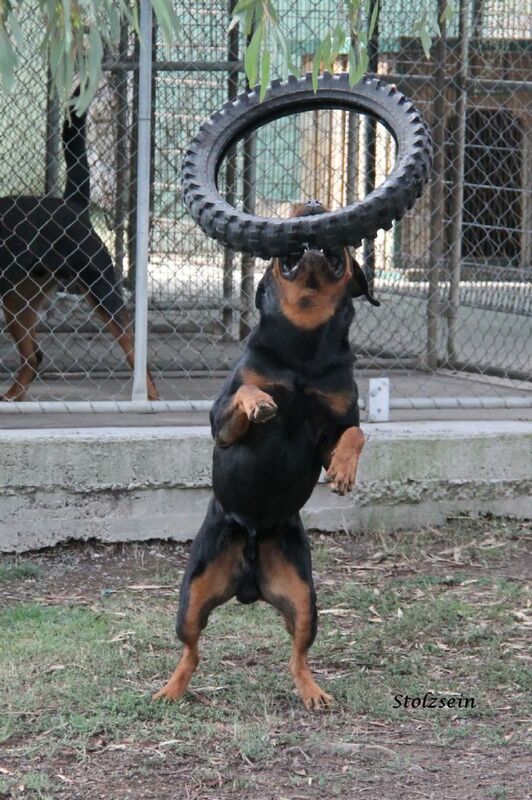 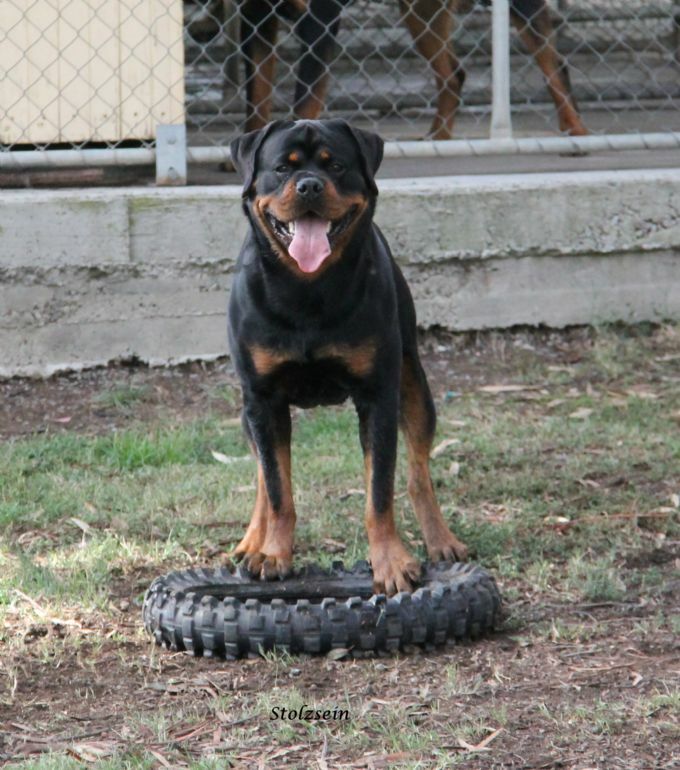 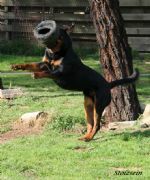 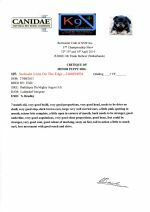 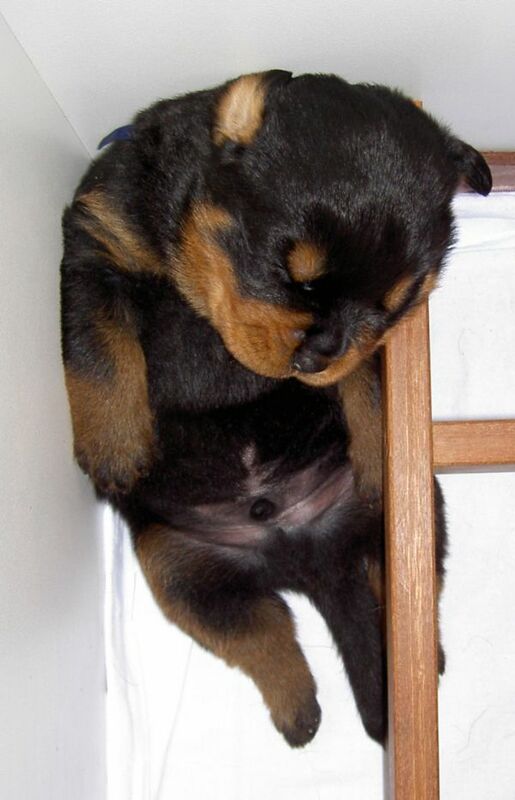 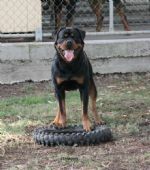 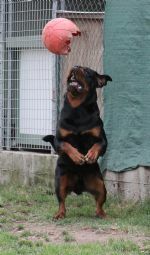 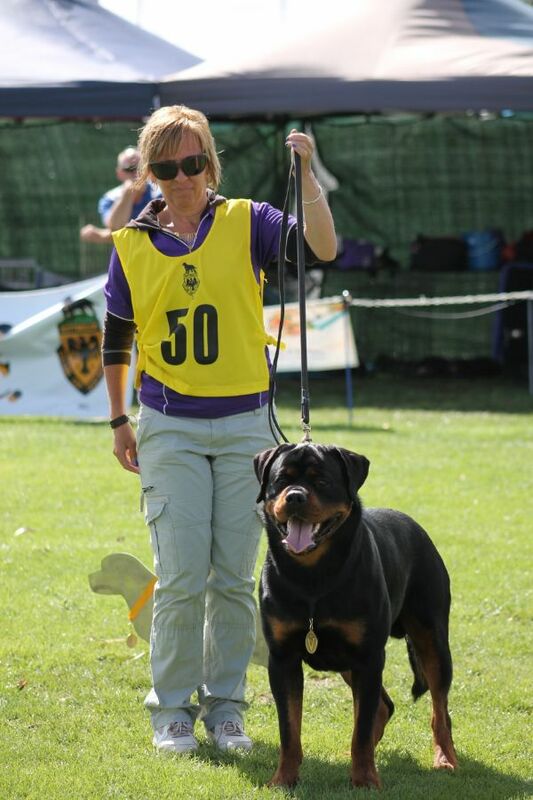 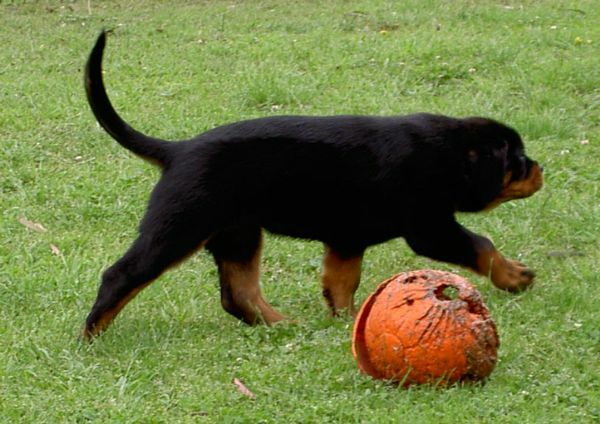 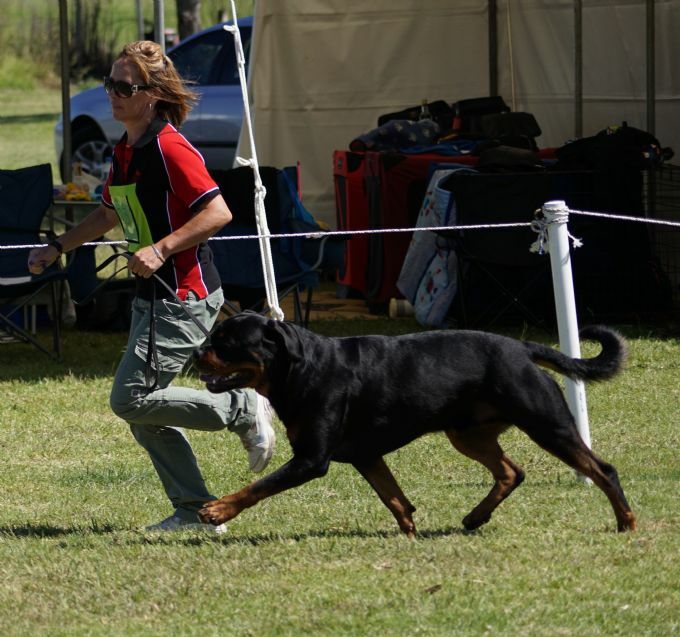 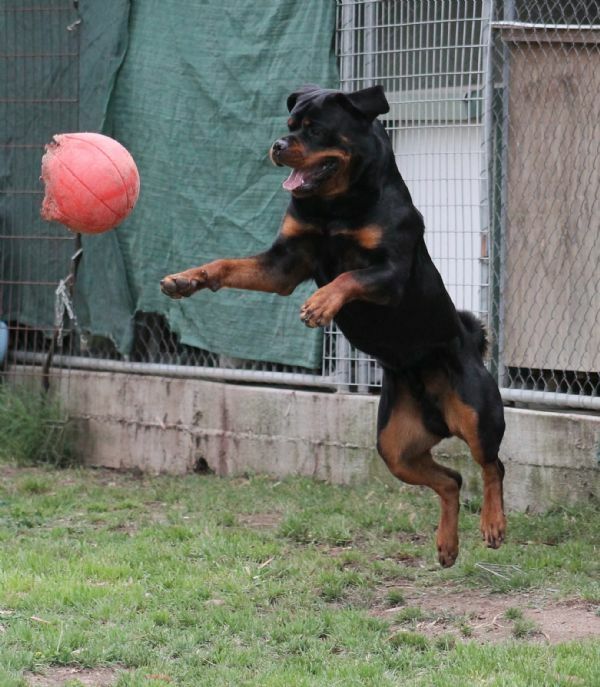 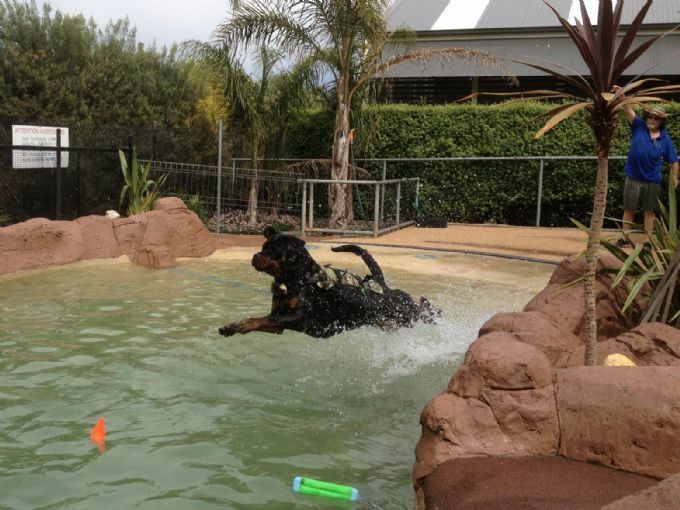 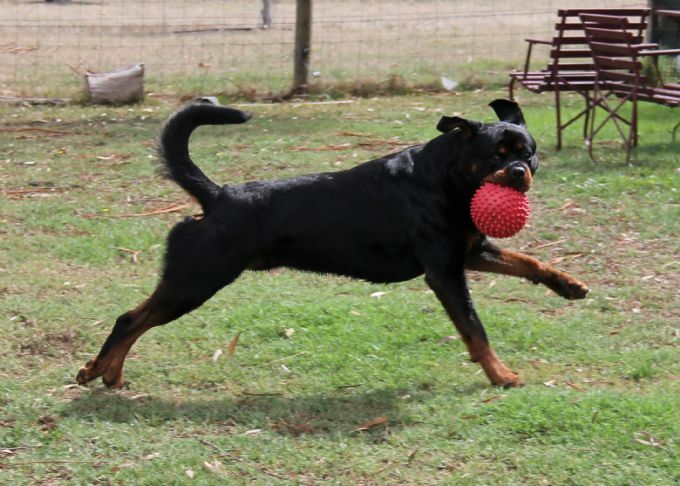 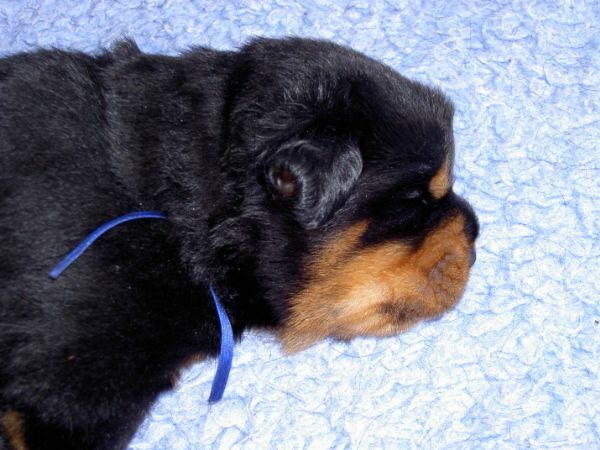 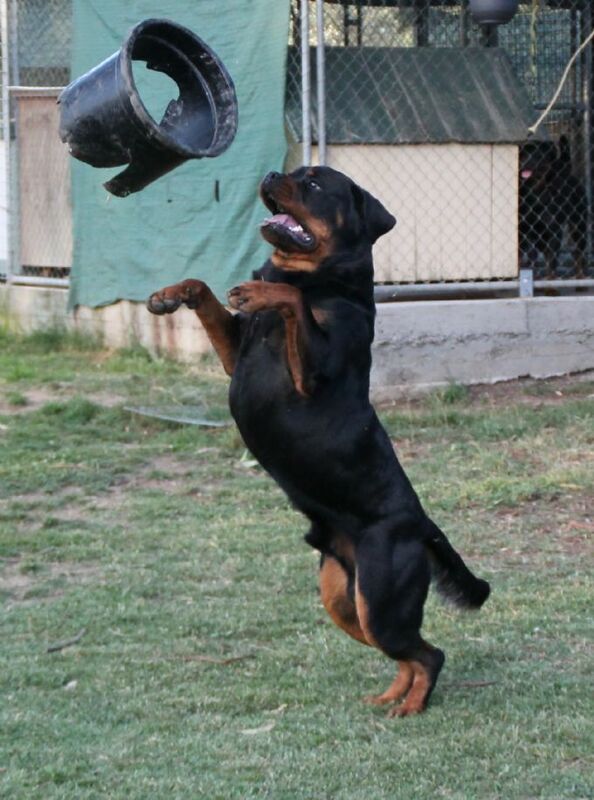 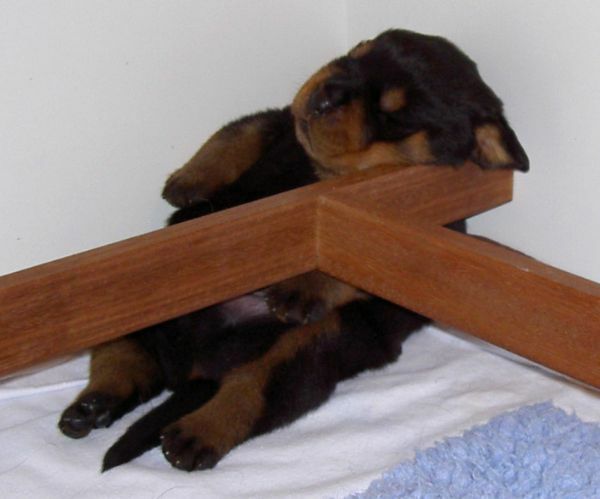 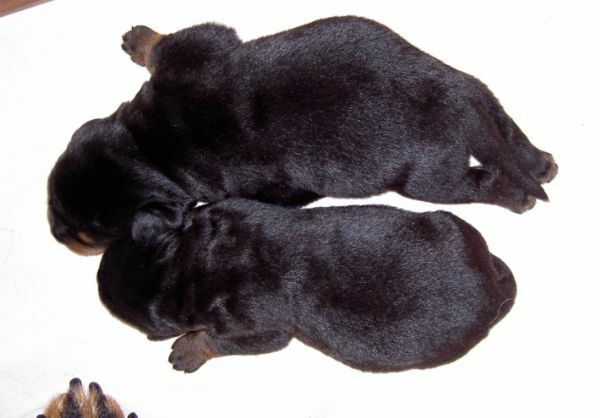 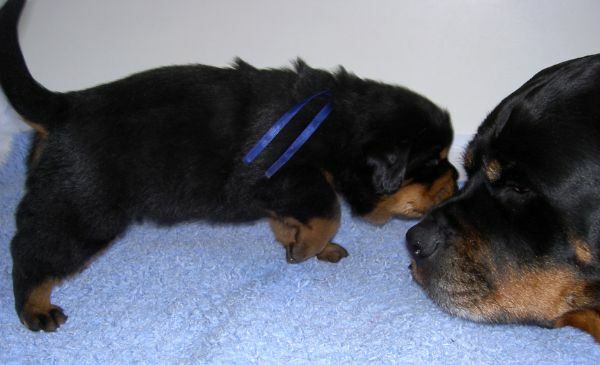 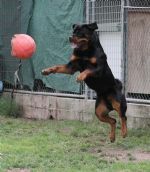 He was awarded the National Rottweiler Rising Star and Victorian Rottweiler Rising Star in the Dogz Online Pointscore competition for 2014. 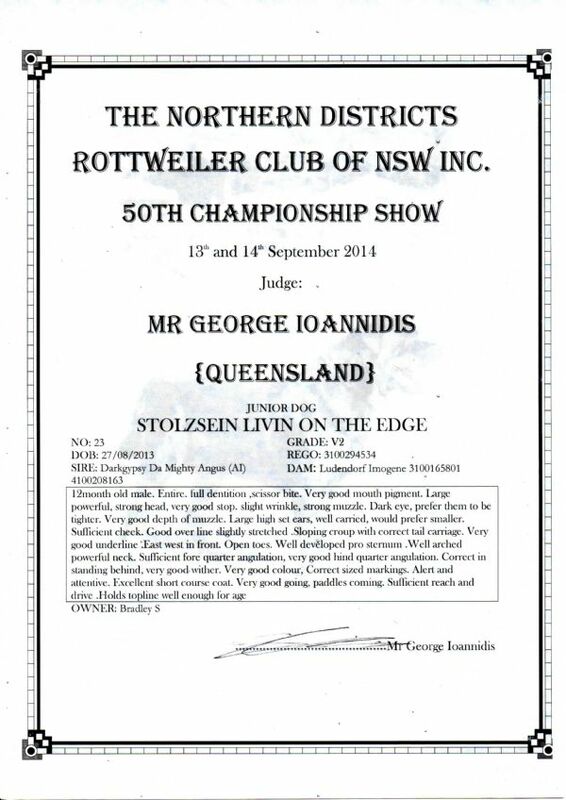 Edge is now an Australian Grand Champion in the conformation ring. 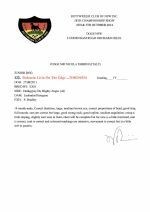 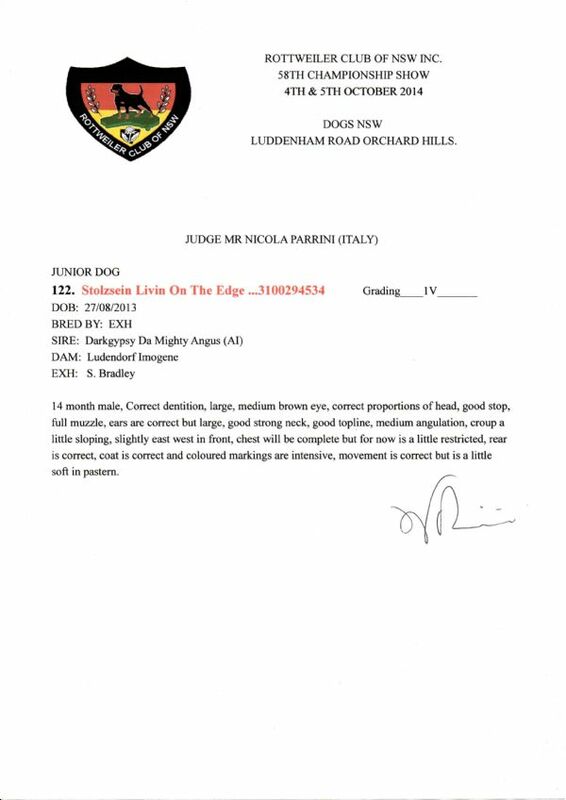 He was awarded his Tracking Dog Title (TD) in August 2017. 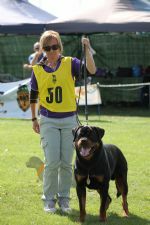 In July 2018 he was awarded his Tracking Dog Excellent Title (TDX). 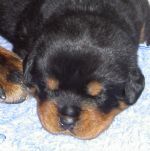 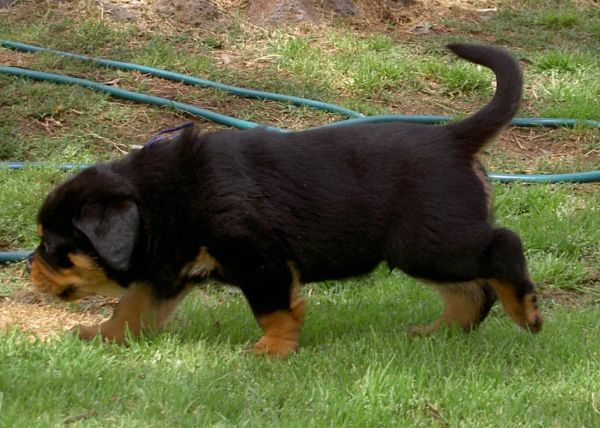 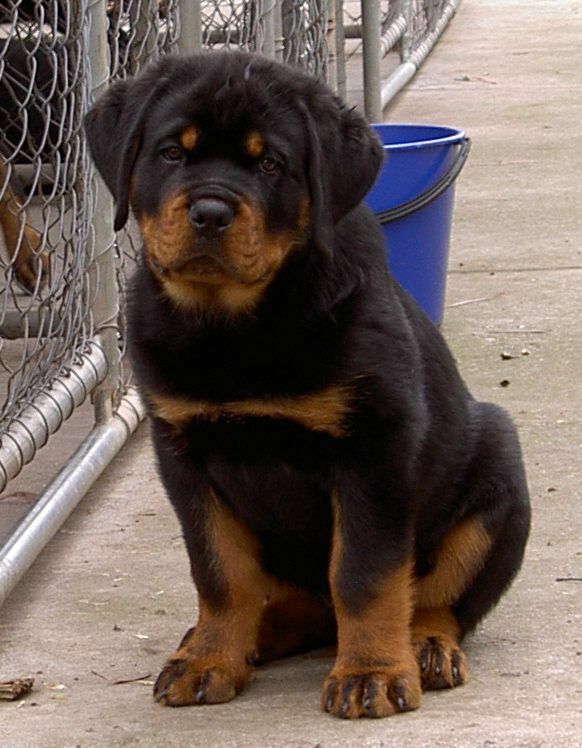 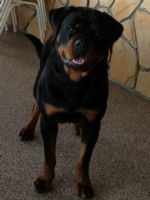 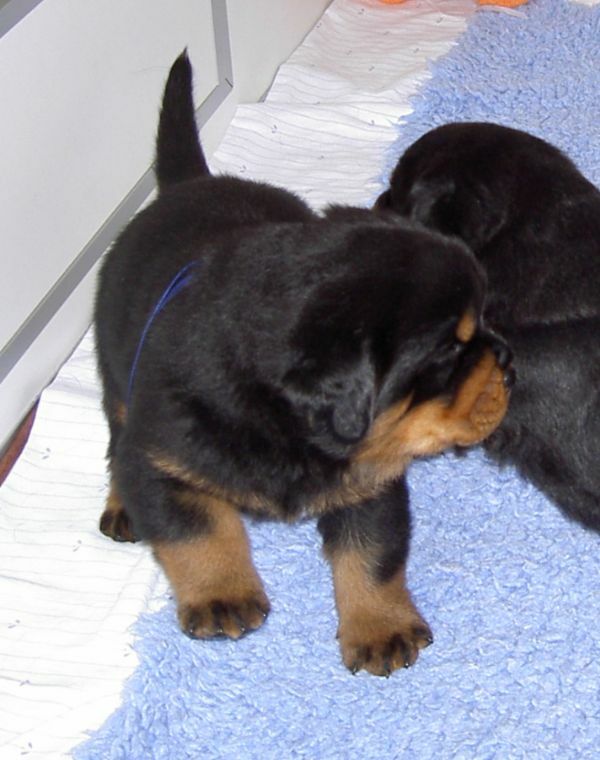 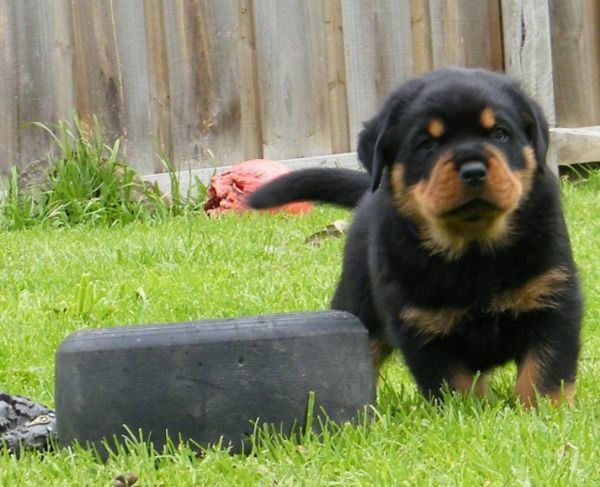 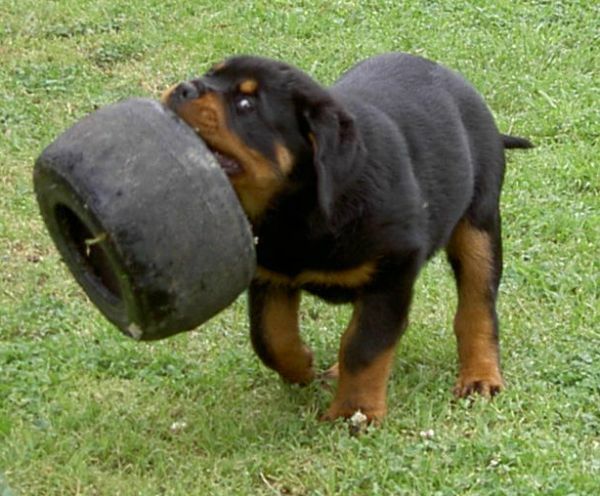 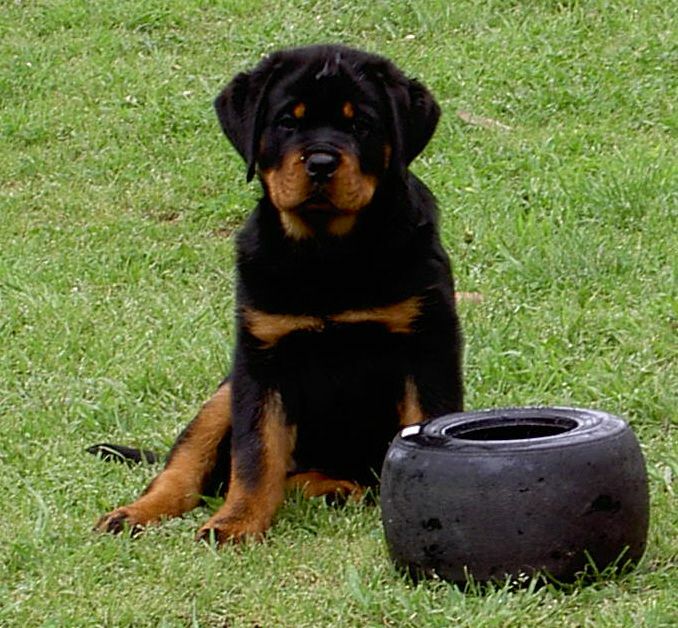 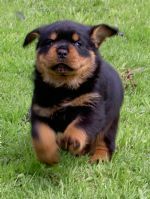 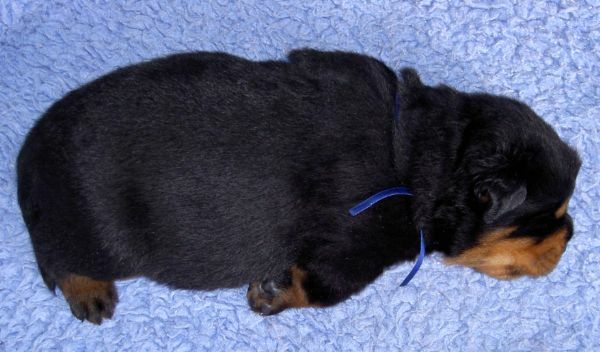 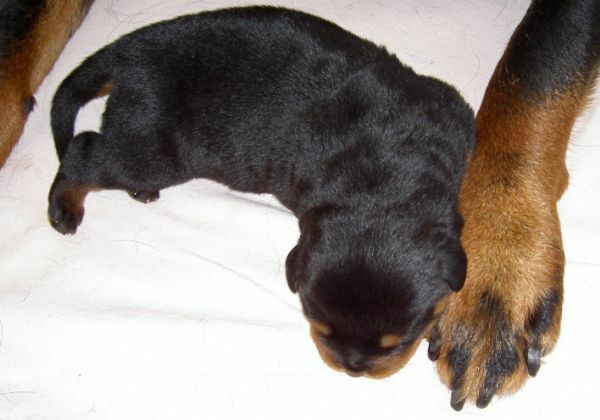 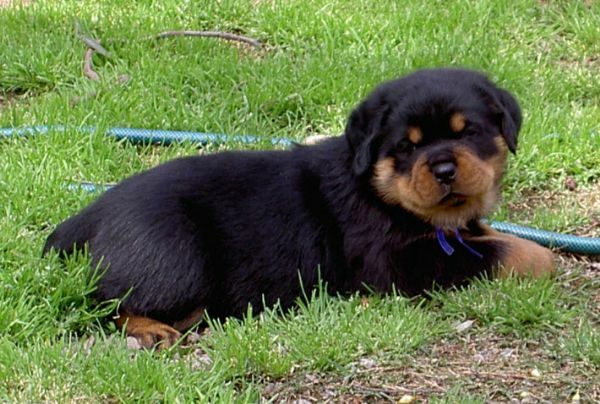 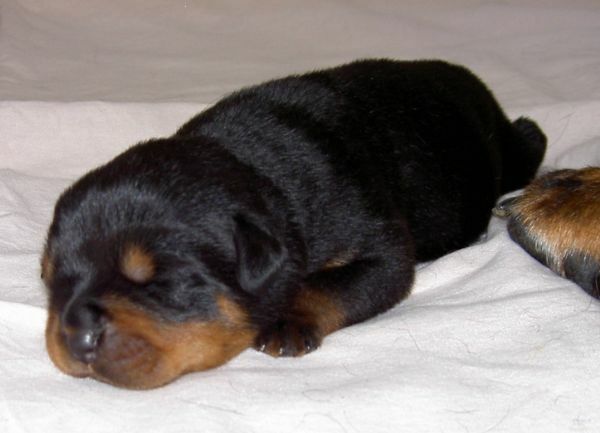 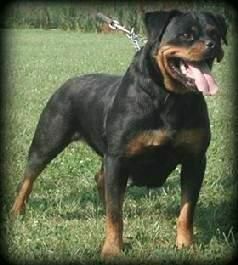 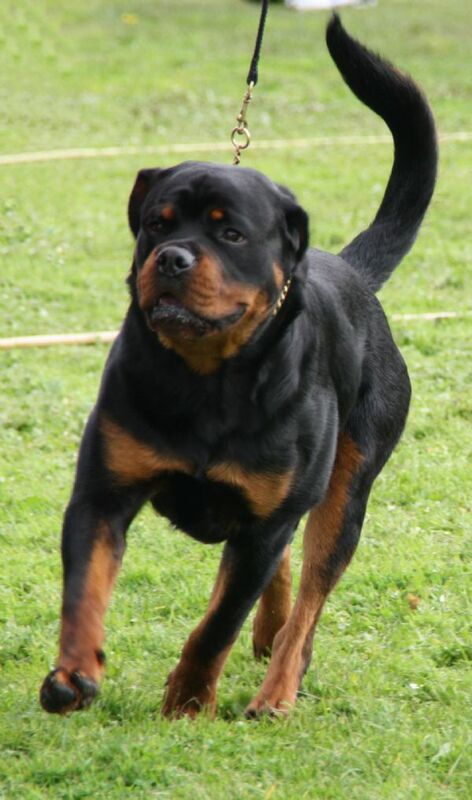 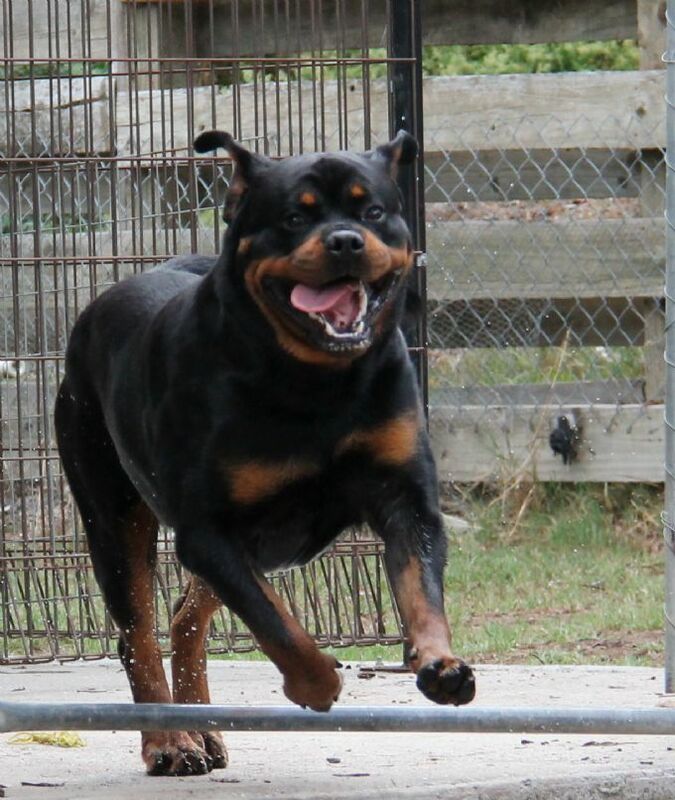 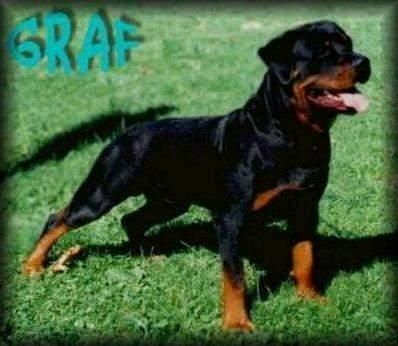 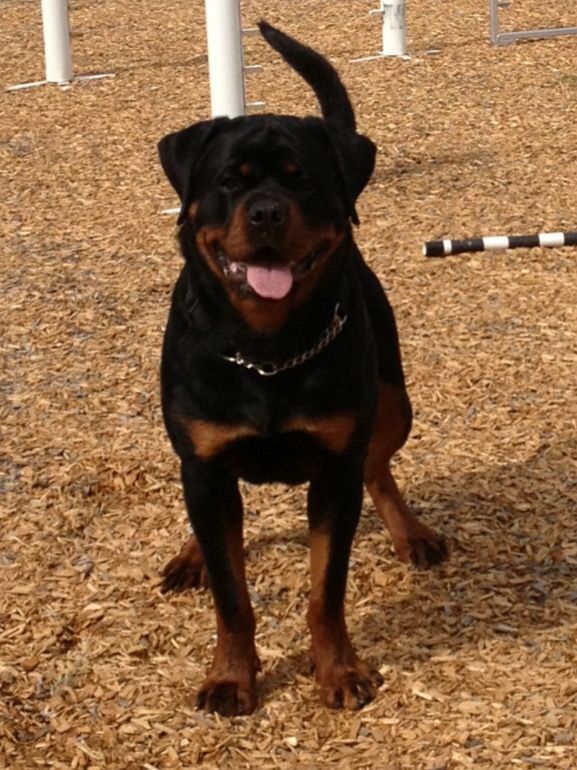 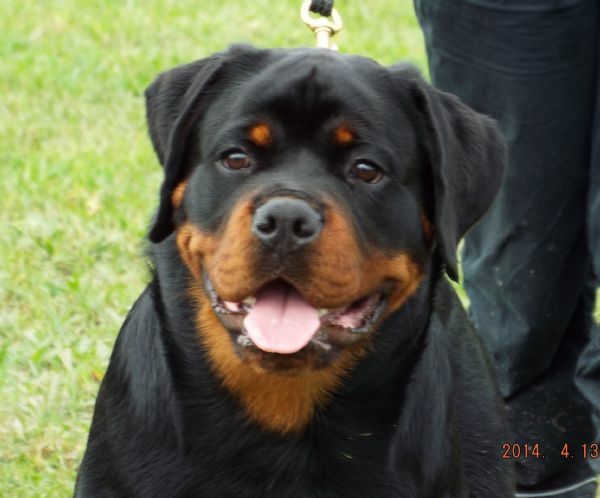 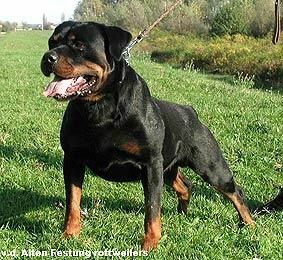 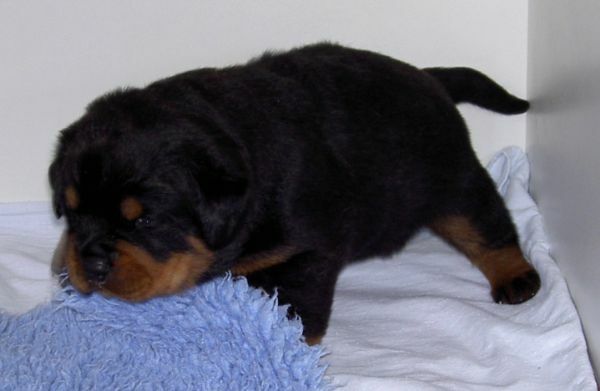 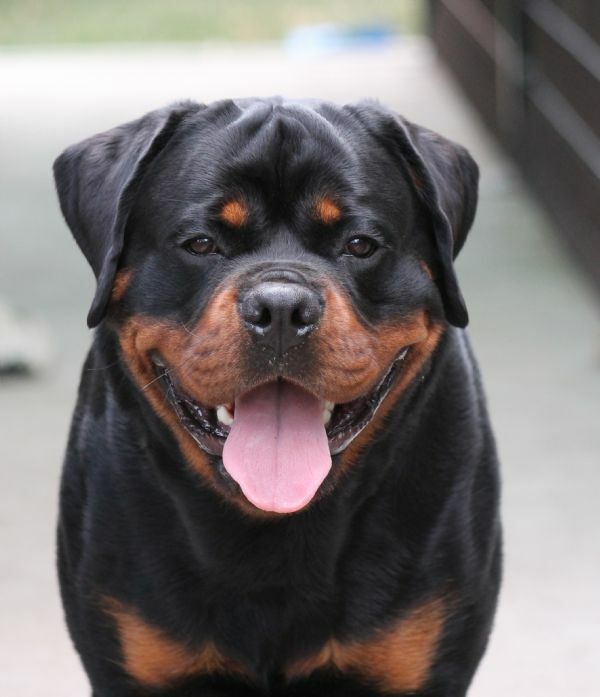 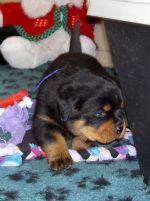 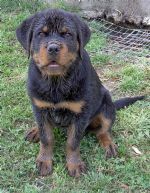 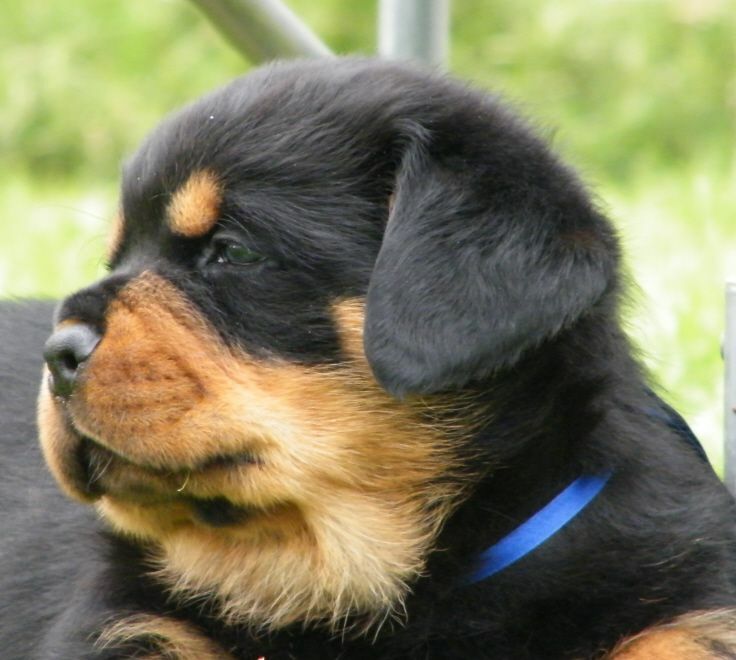 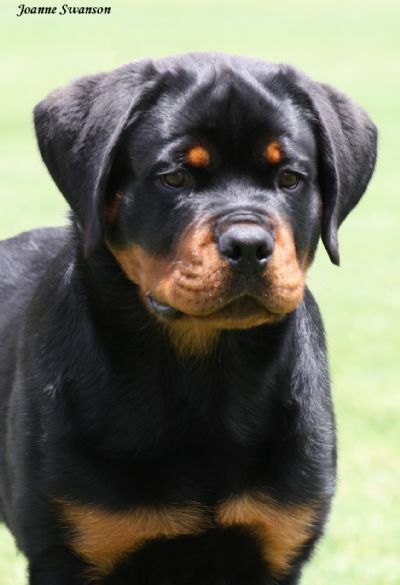 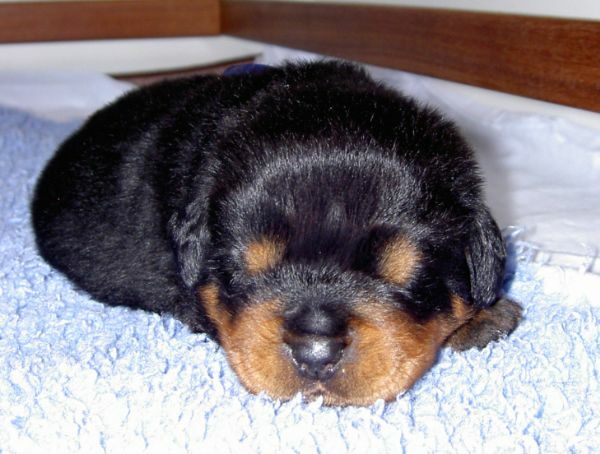 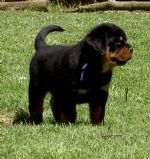 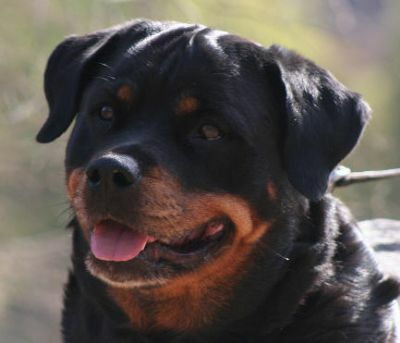 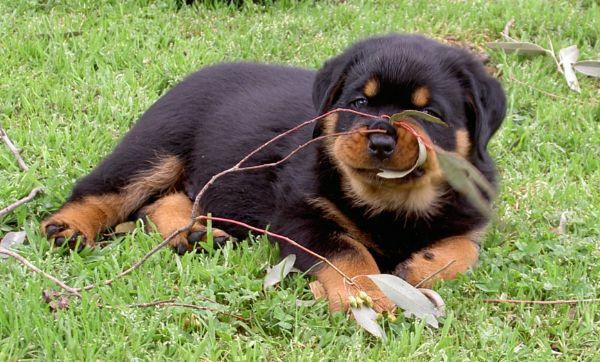 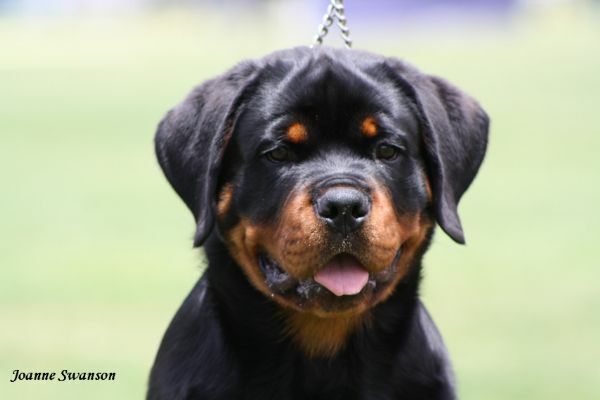 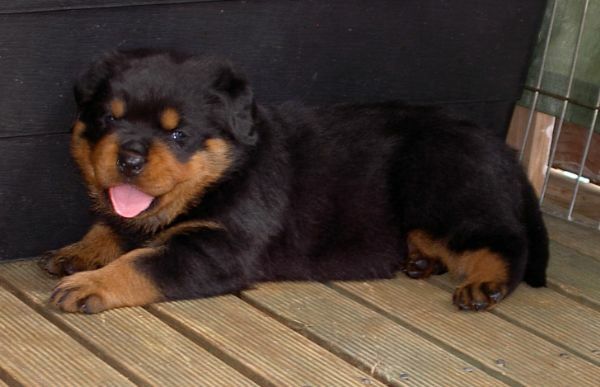 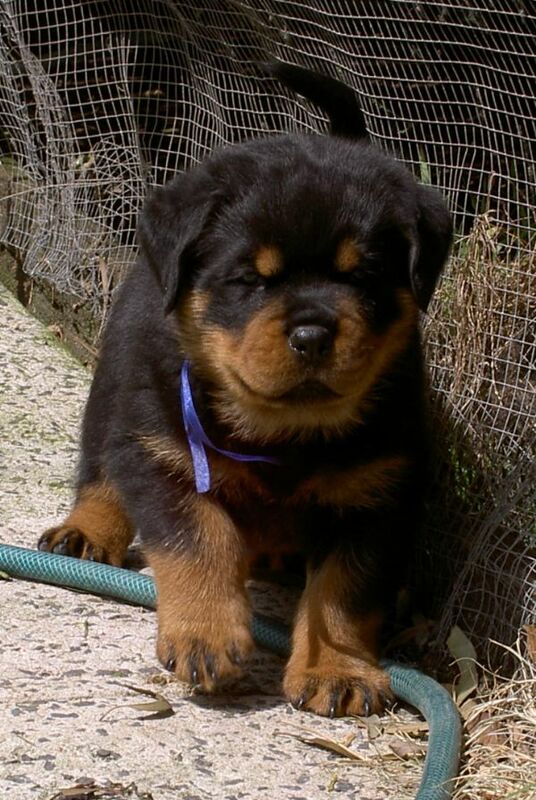 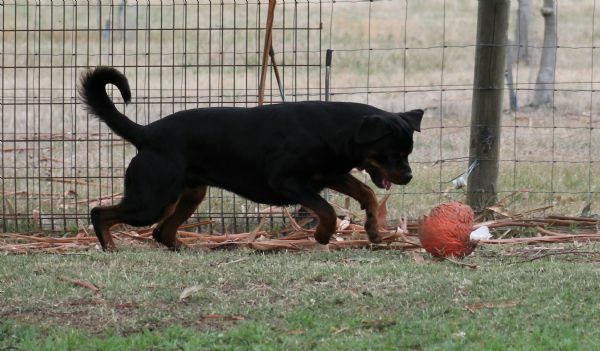 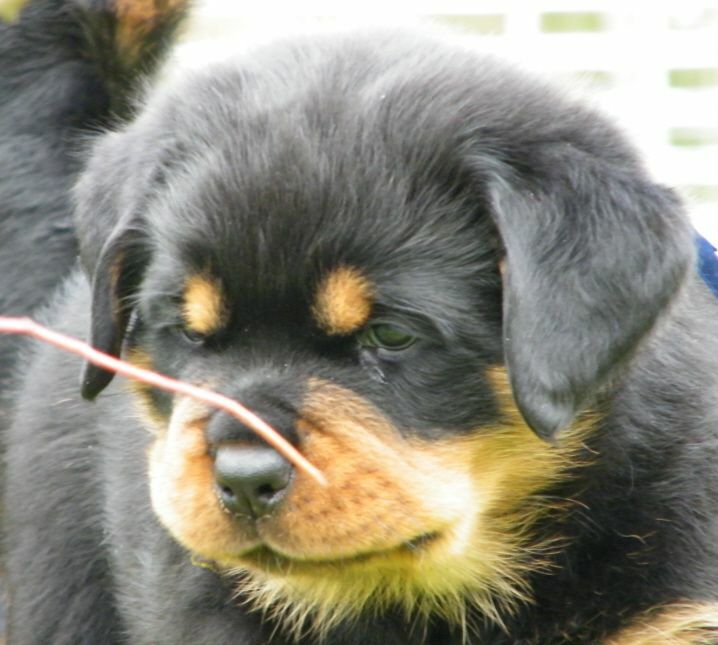 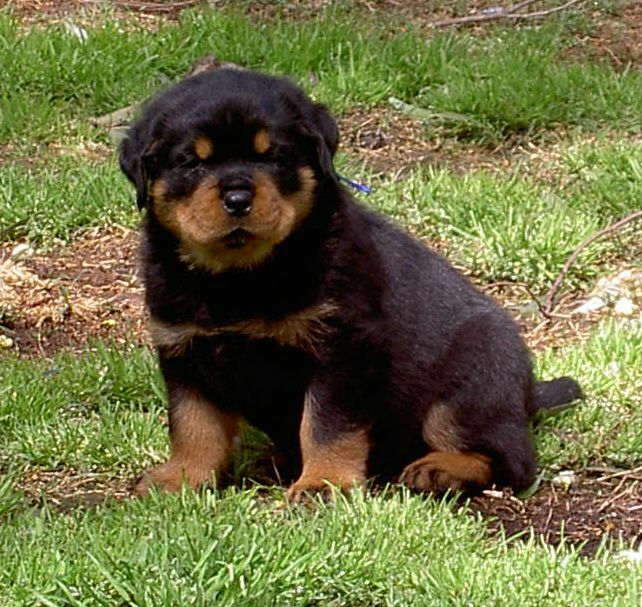 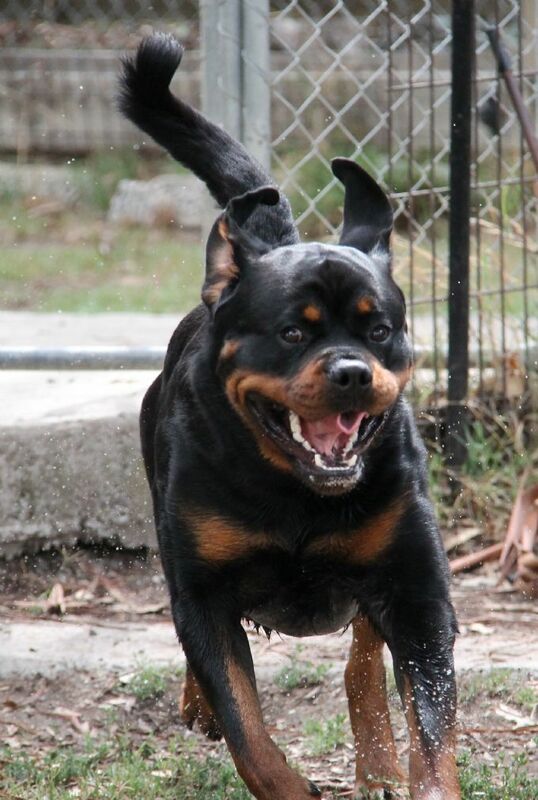 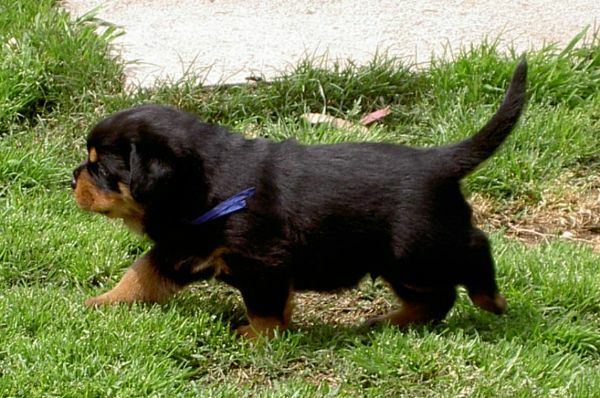 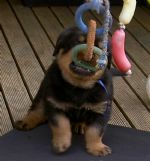 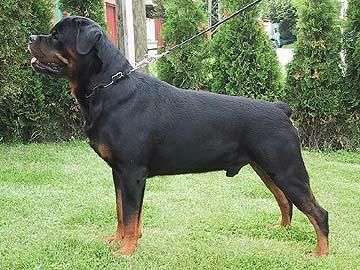 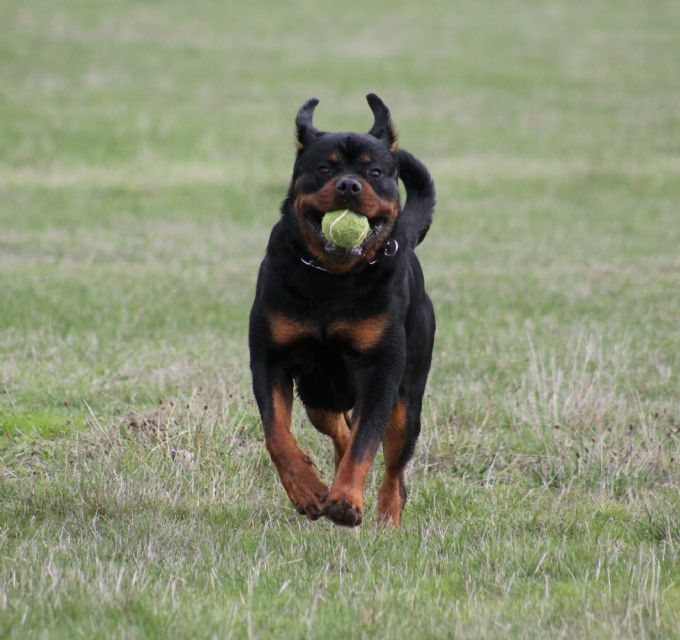 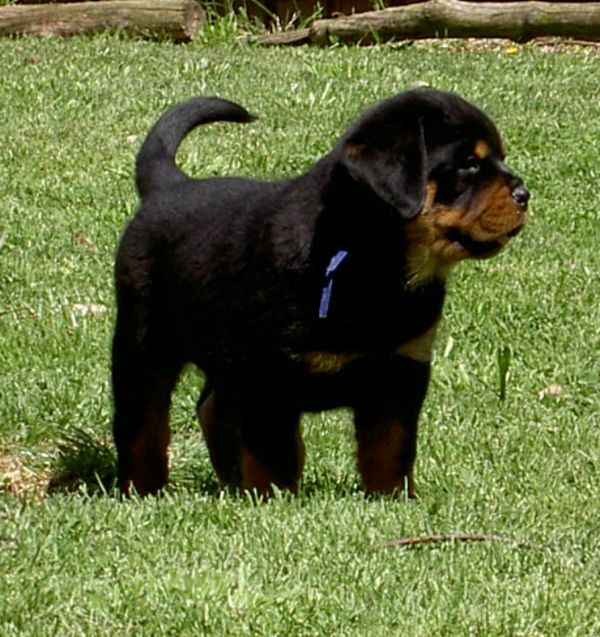 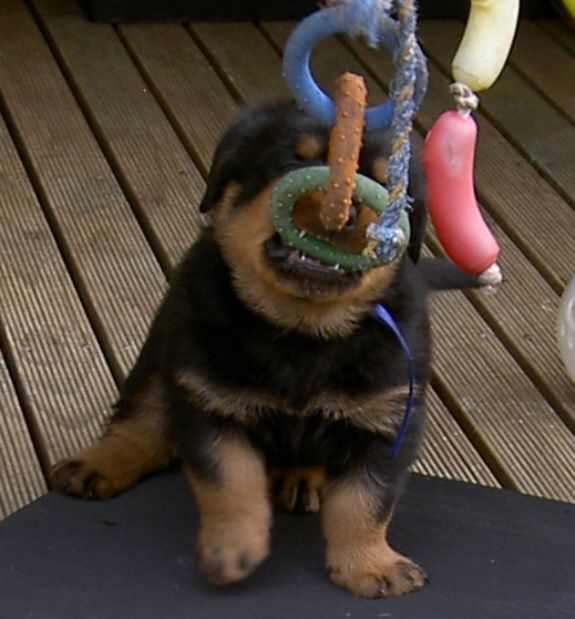 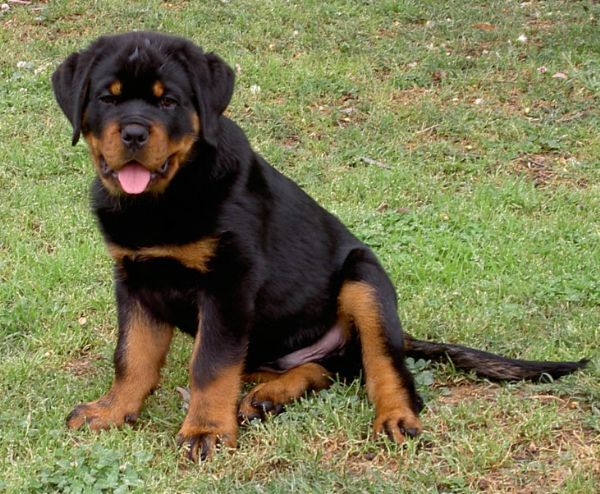 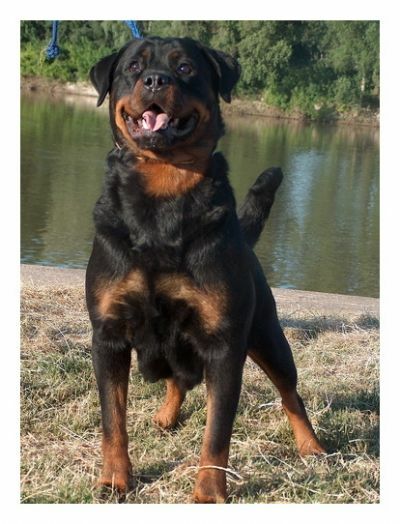 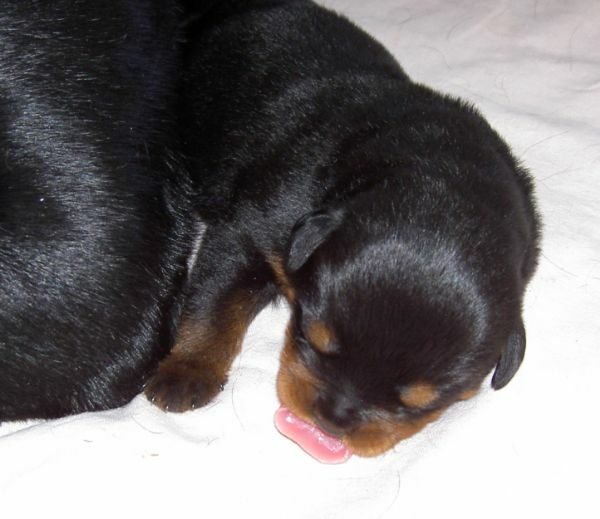 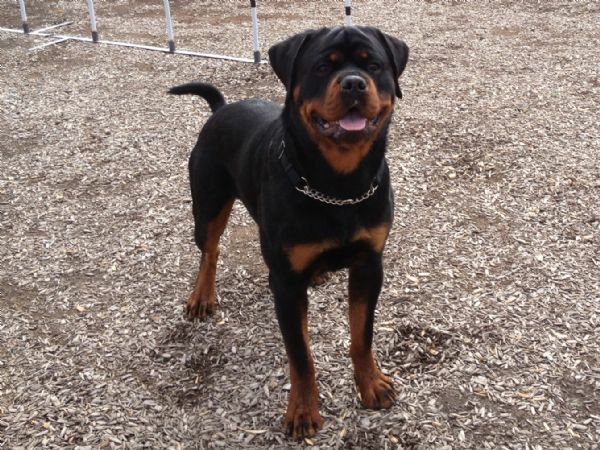 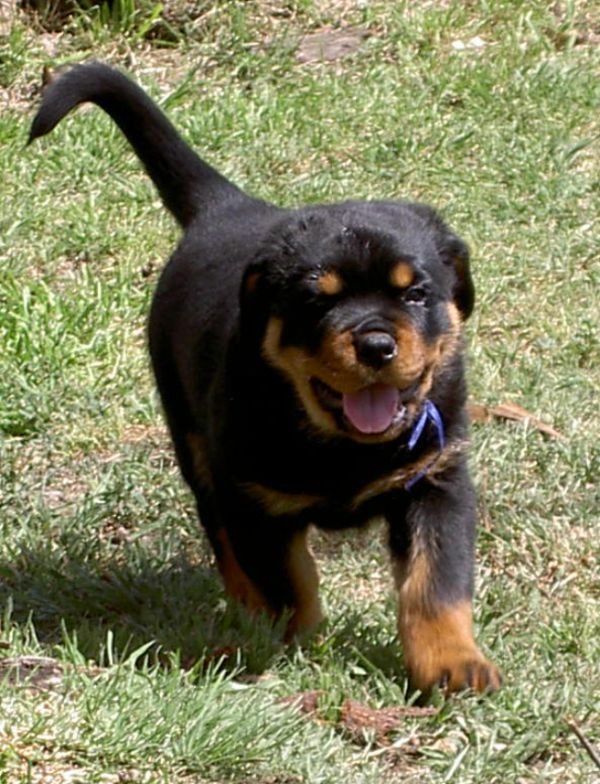 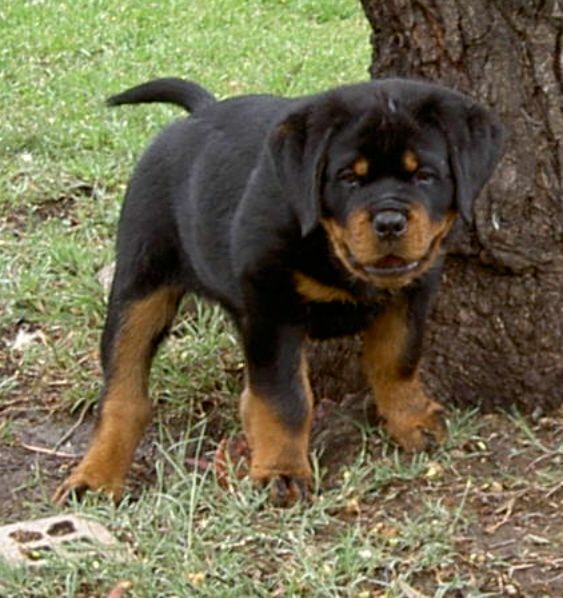 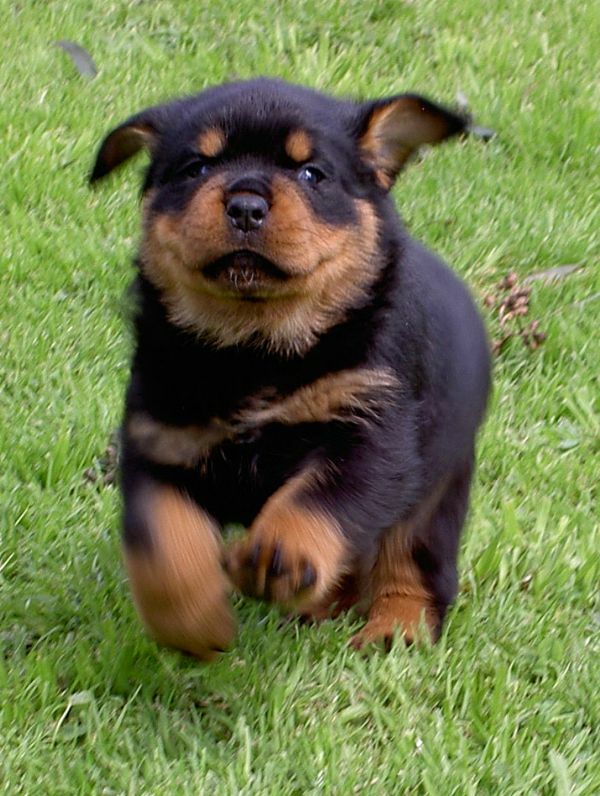 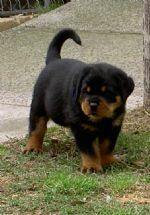 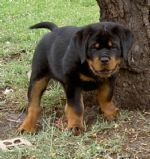 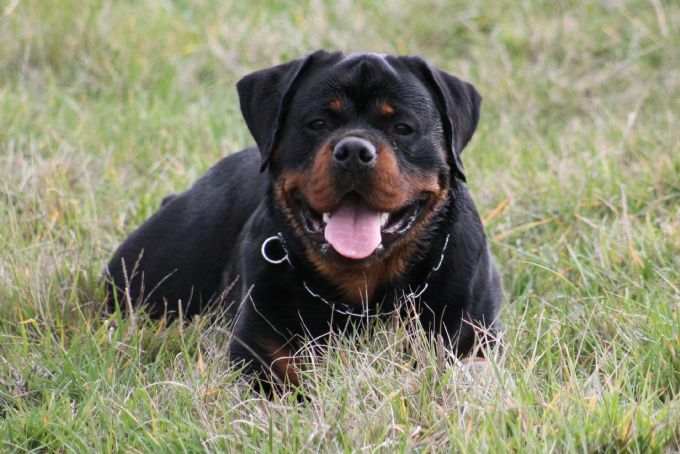 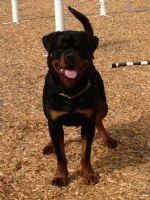 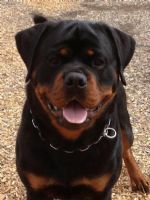 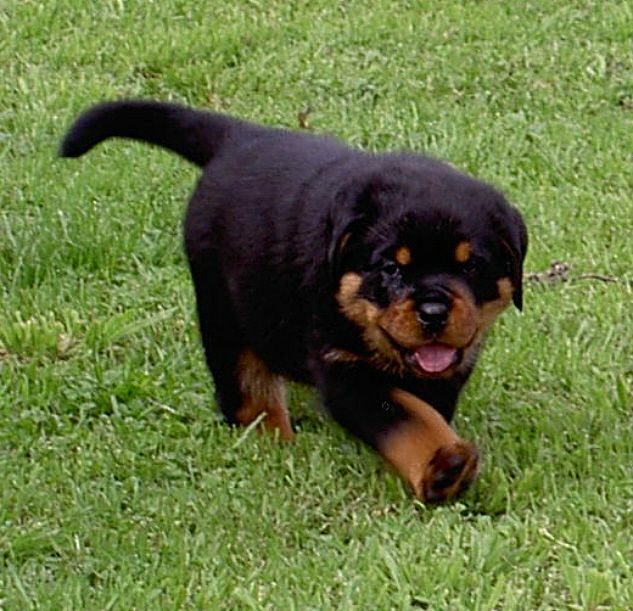 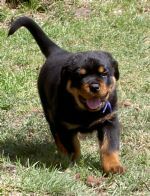 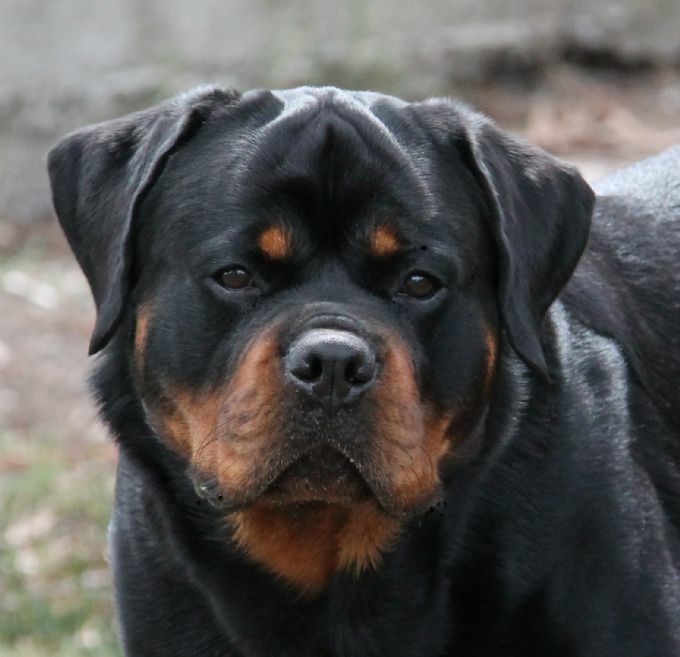 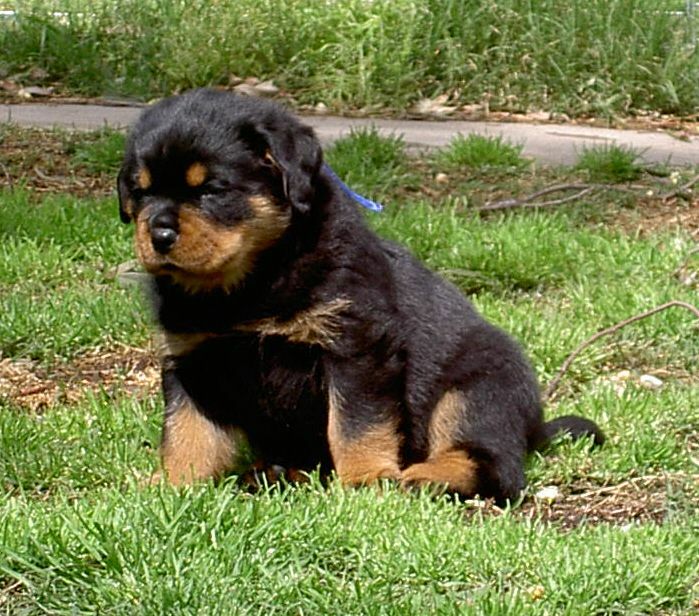 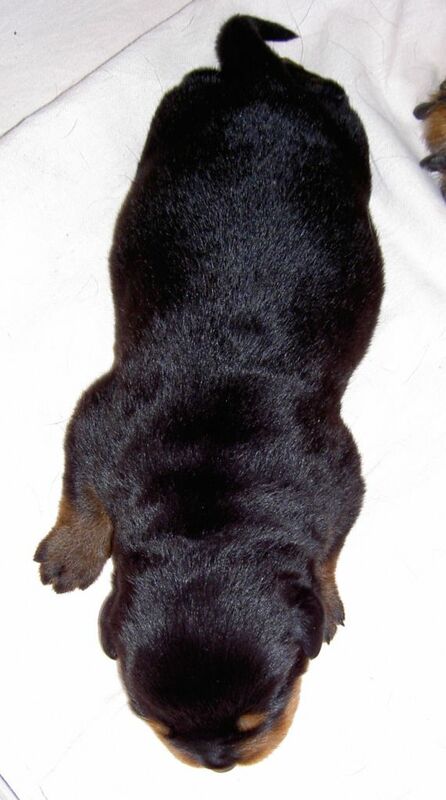 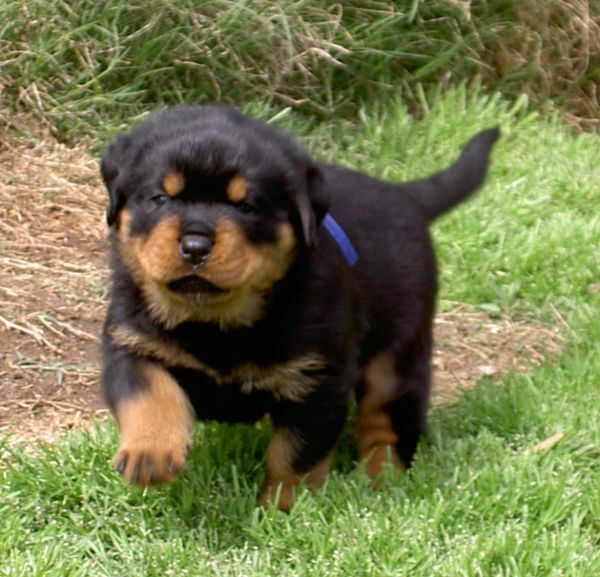 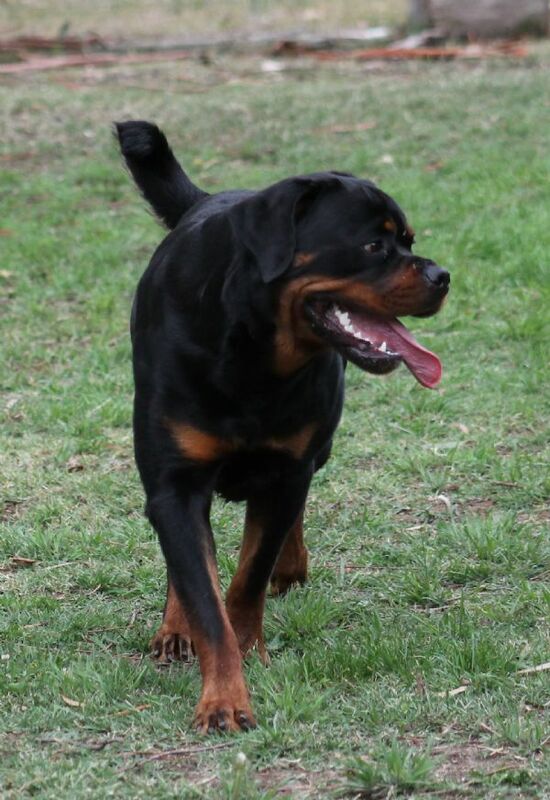 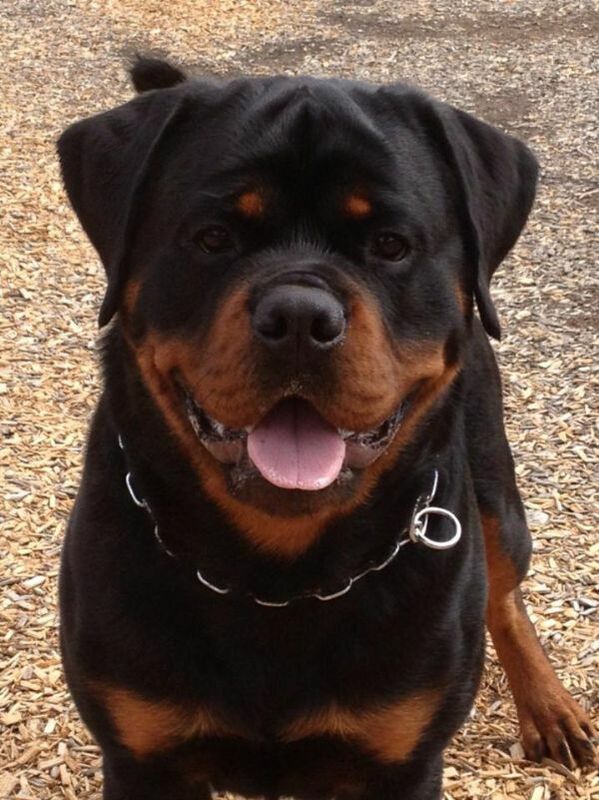 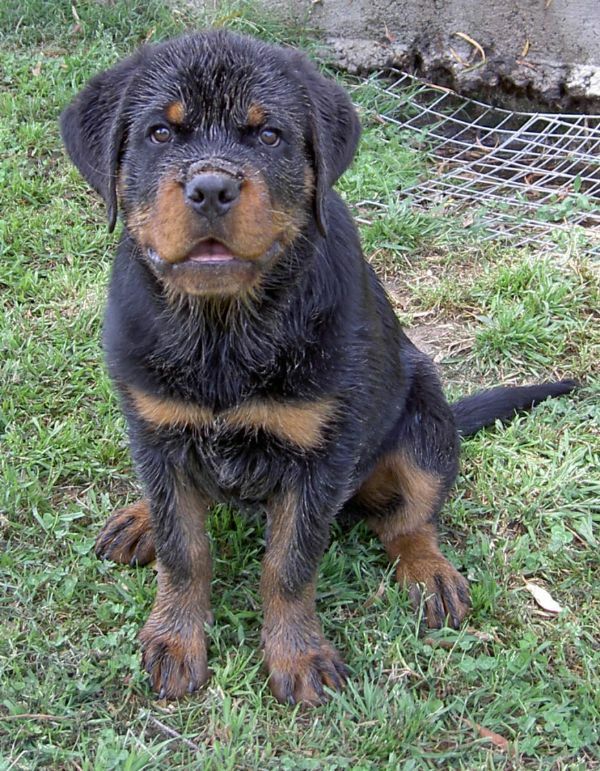 He is a proven all round Rottweiler with both beauty and brains. 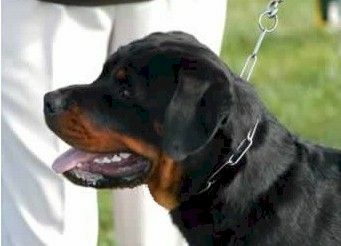 Edge obtained his Tracking Champion Title in August 2018, making him a Grand Champion and Dual Champion. Edge gained his final points in 2017 towards his Australian Grand Champion title. Edge was awarded his Tracking Dog Title (TD) in 2017. 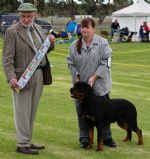 Edge was awarded his Tracking Dog Champion title in August 2018. 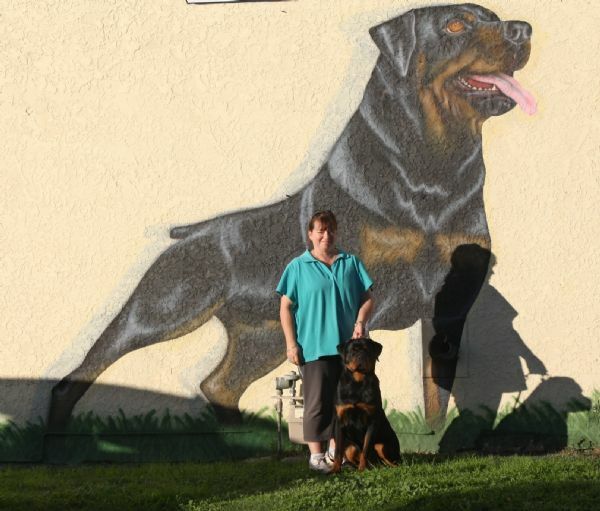 Edge and I, April 2014 - this picture is painted on the side of a Pet Shop @ Goulburn. 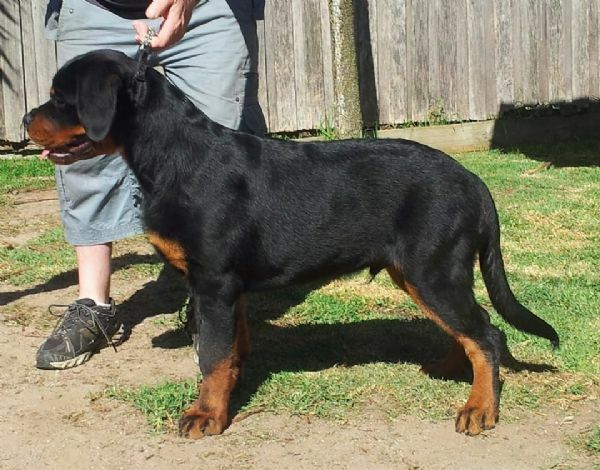 Pic of Edge taken 29 December 2013, he is 4 months and 2 days old.